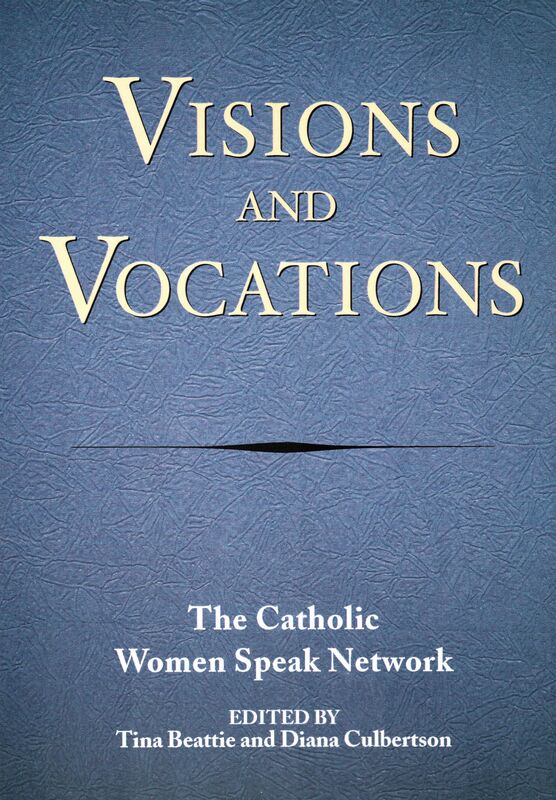 This is the second book published by Catholic Women Speak to coincide with a Synod of Bishops. 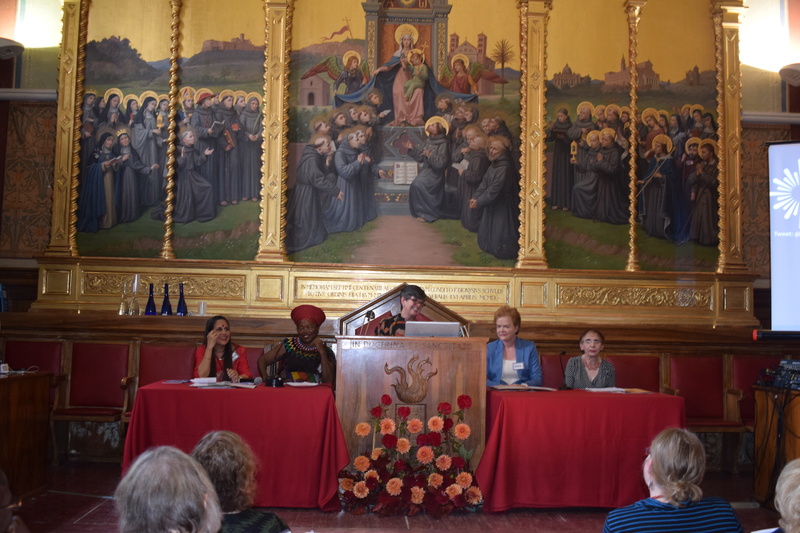 Our first book, Catholic Women Speak: Bringing Our Gifts to the Table, was published by Paulist Press in 2015 in time for the Synod on the Family. 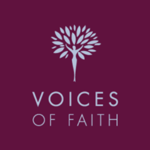 Visions and Vocations was published on the occasion of the Synod on Young People, Faith and Vocational Discernment. 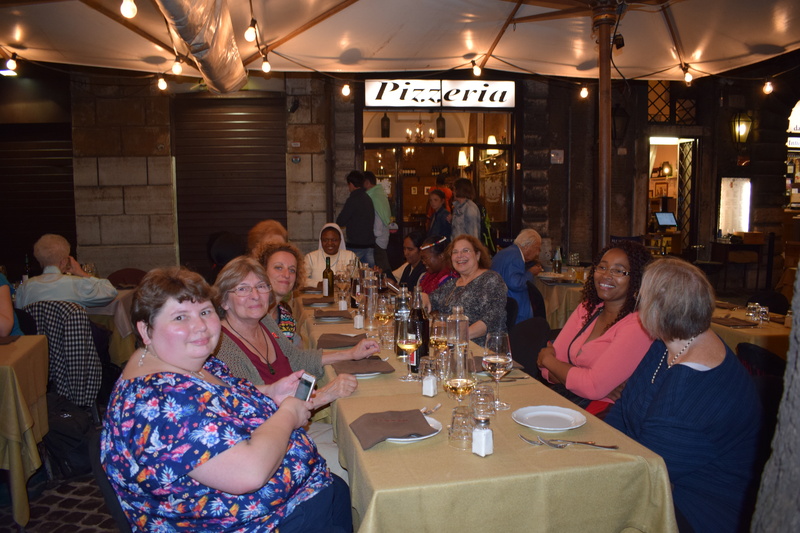 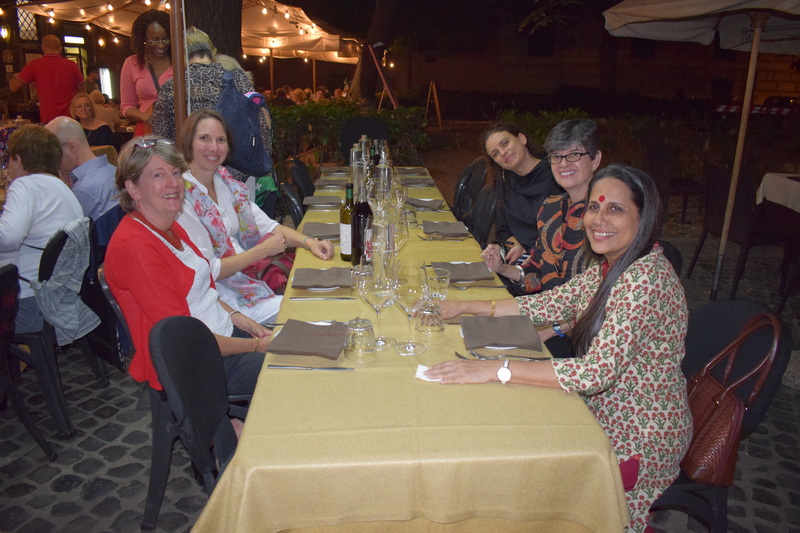 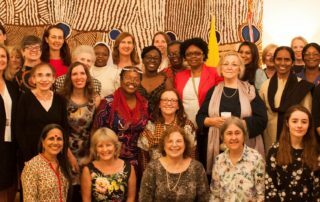 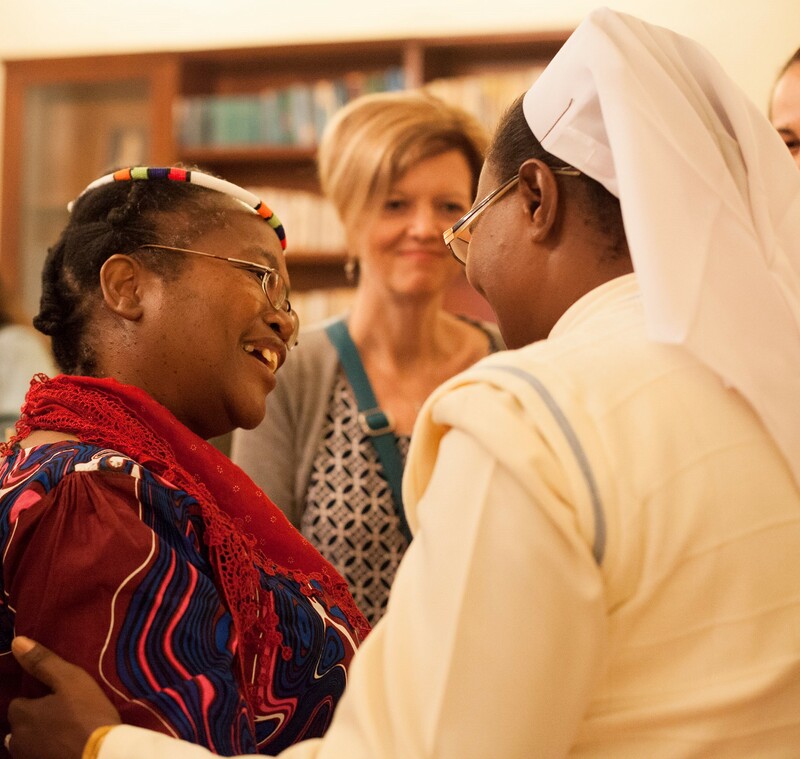 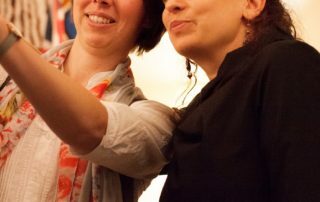 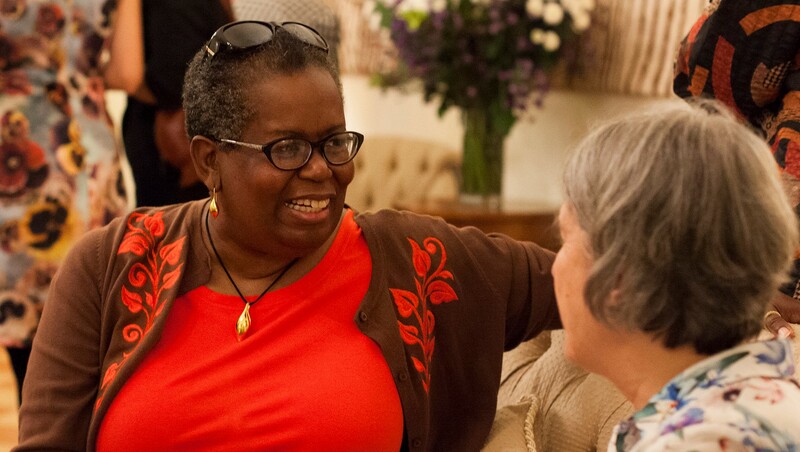 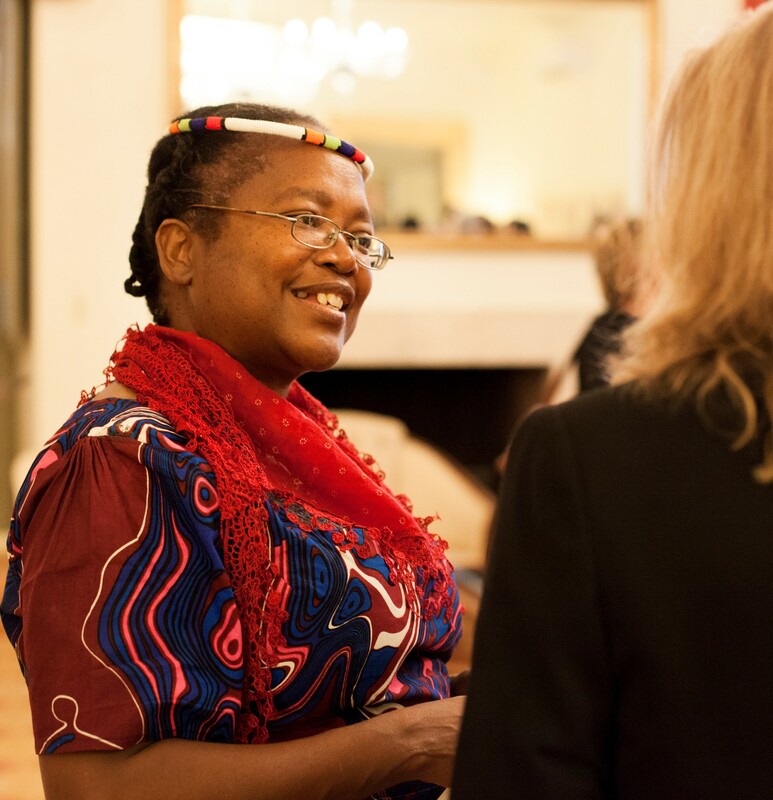 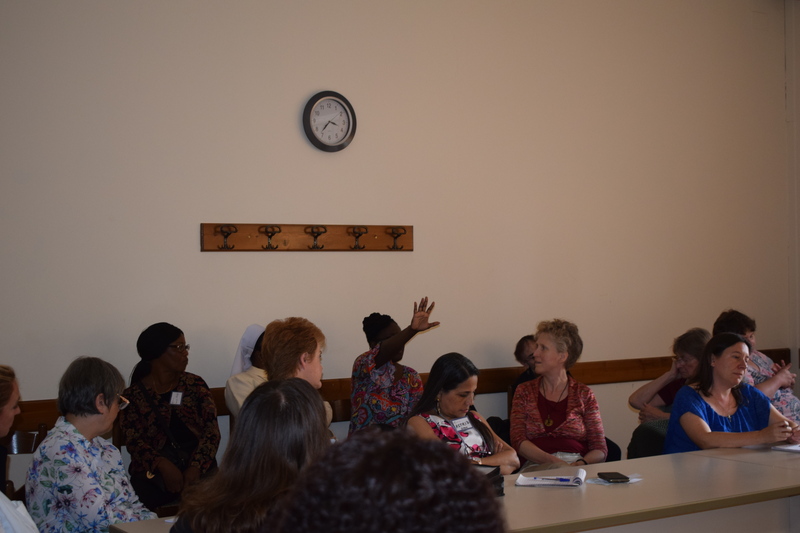 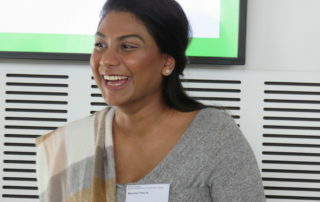 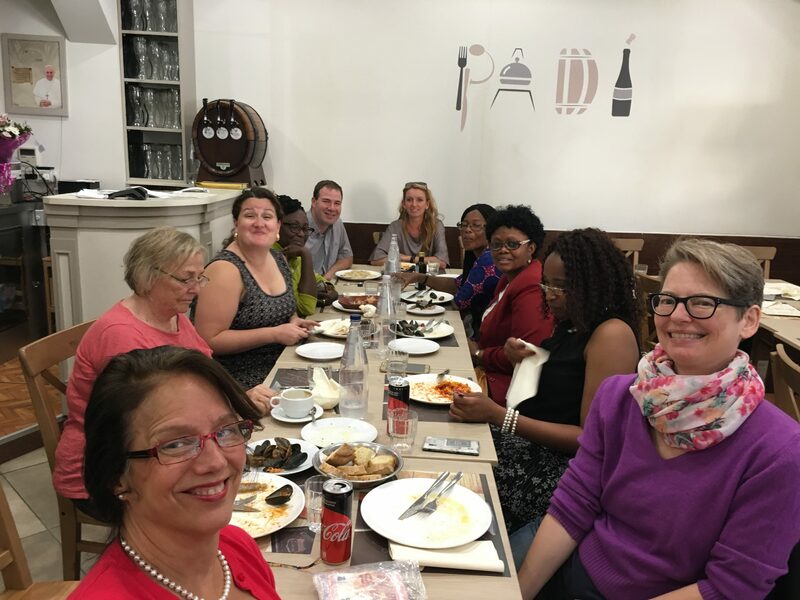 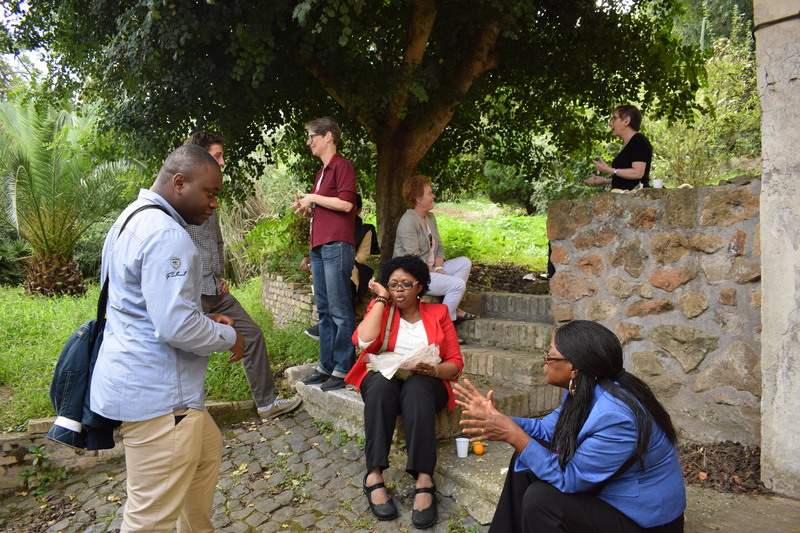 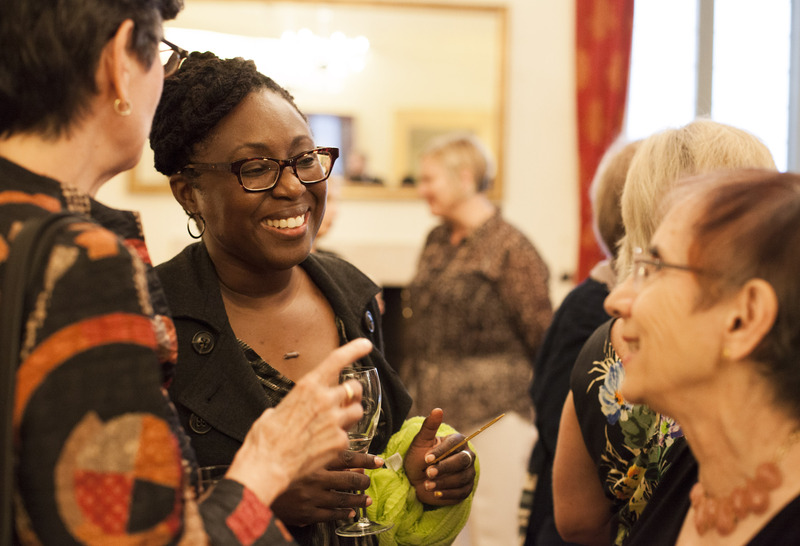 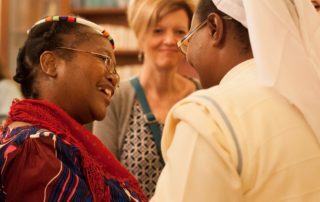 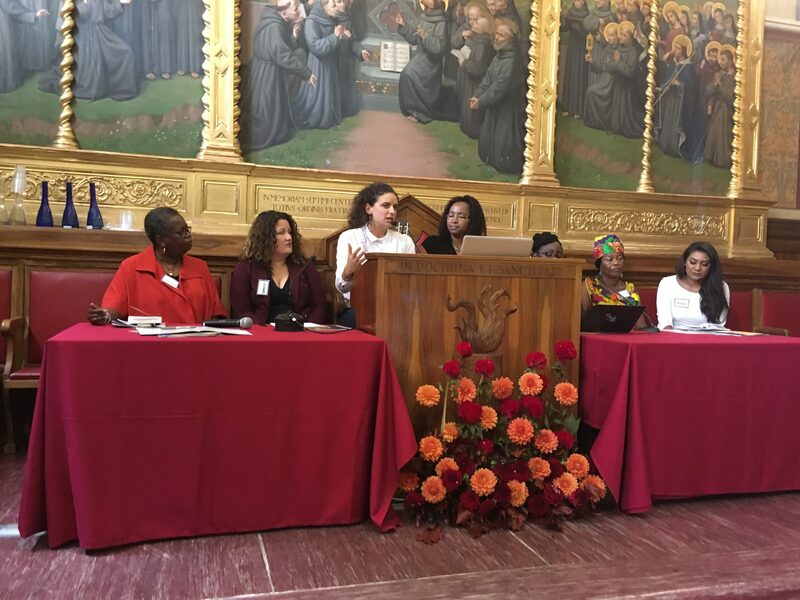 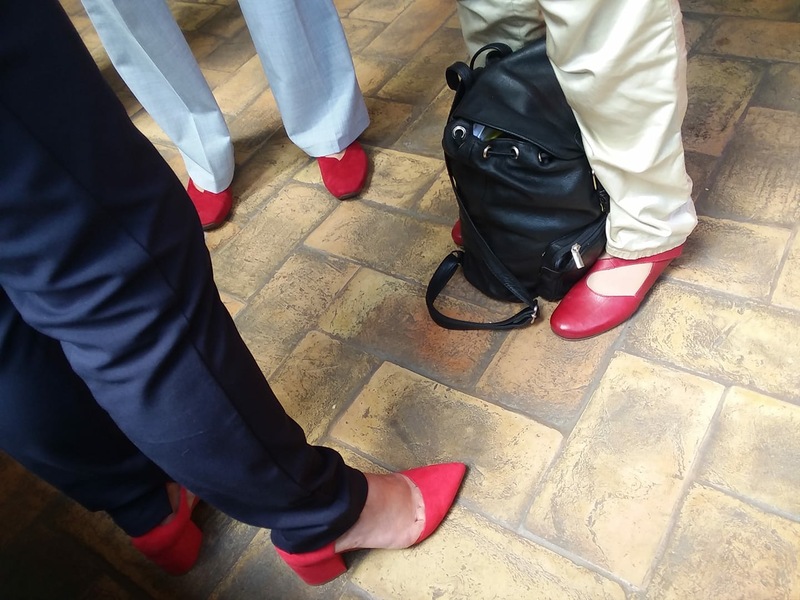 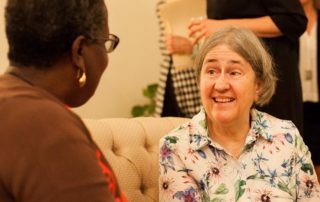 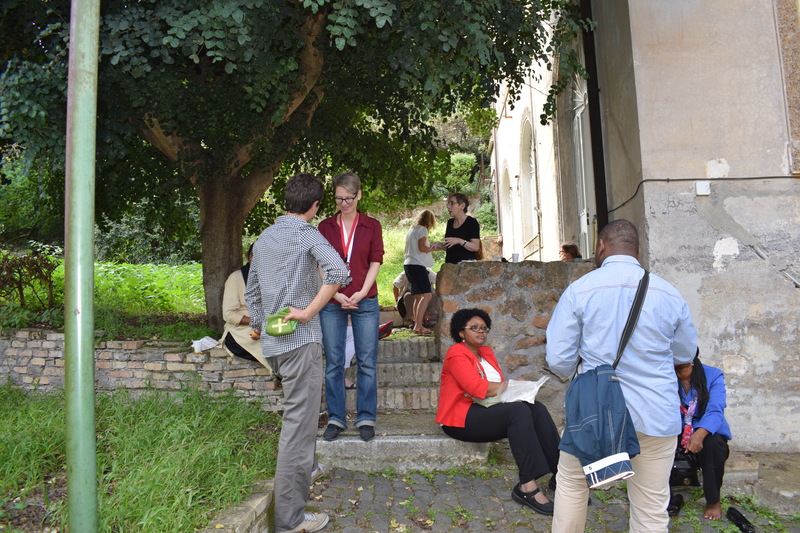 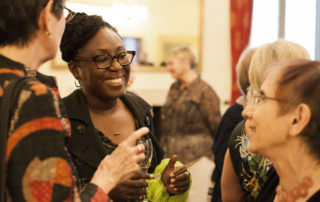 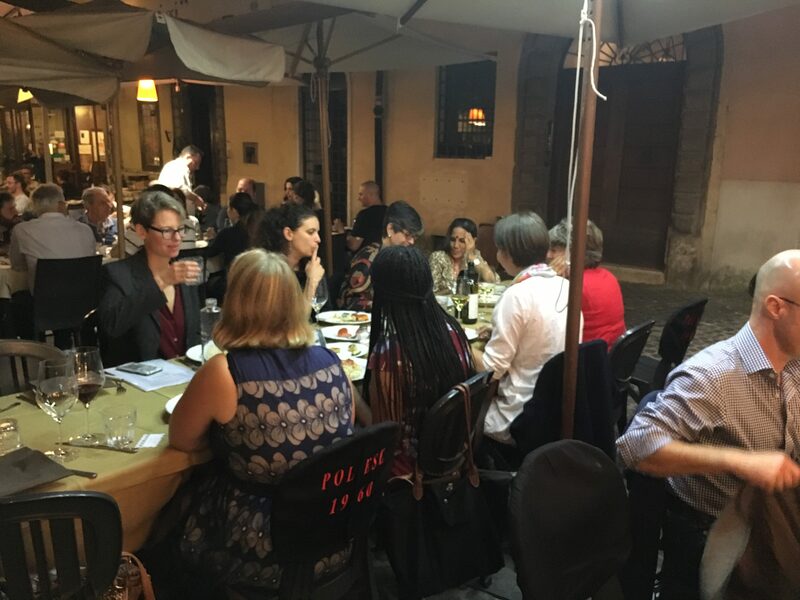 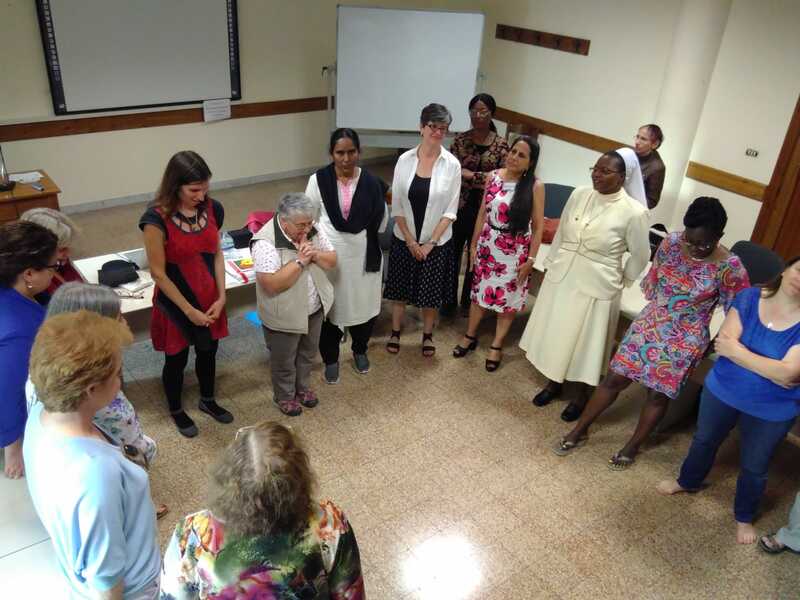 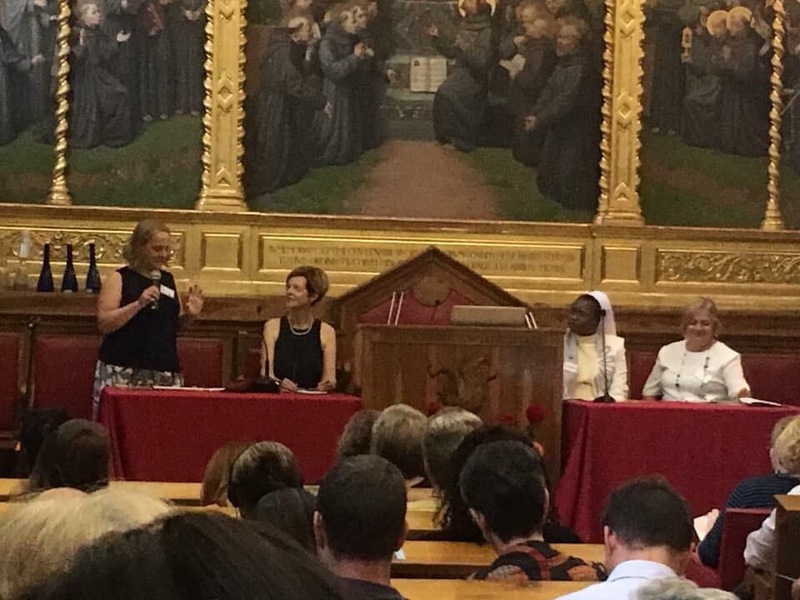 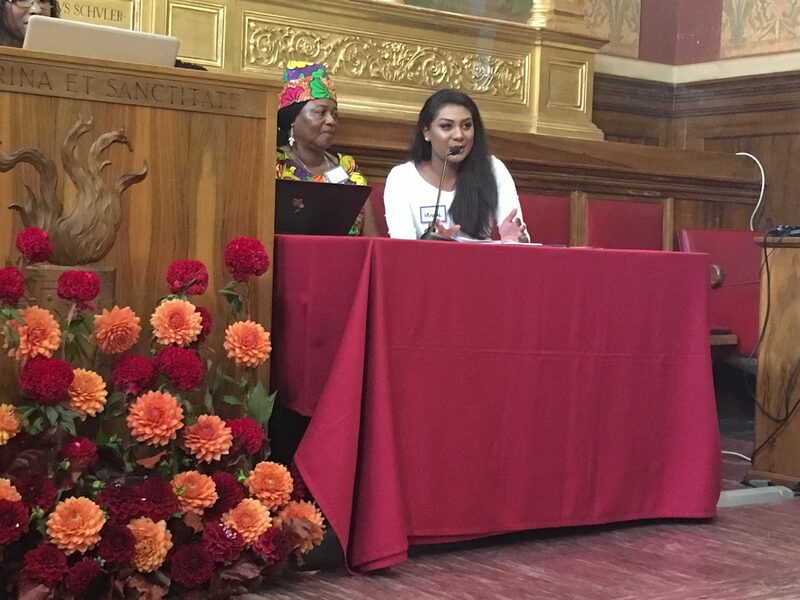 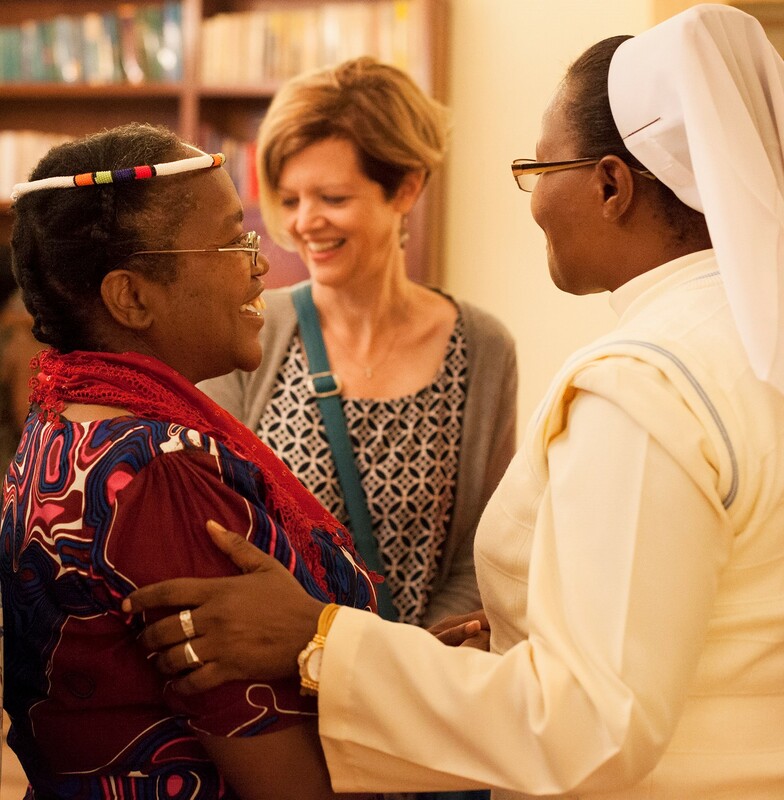 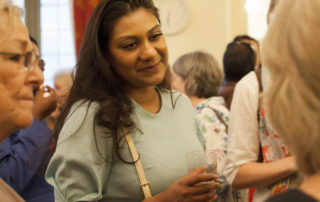 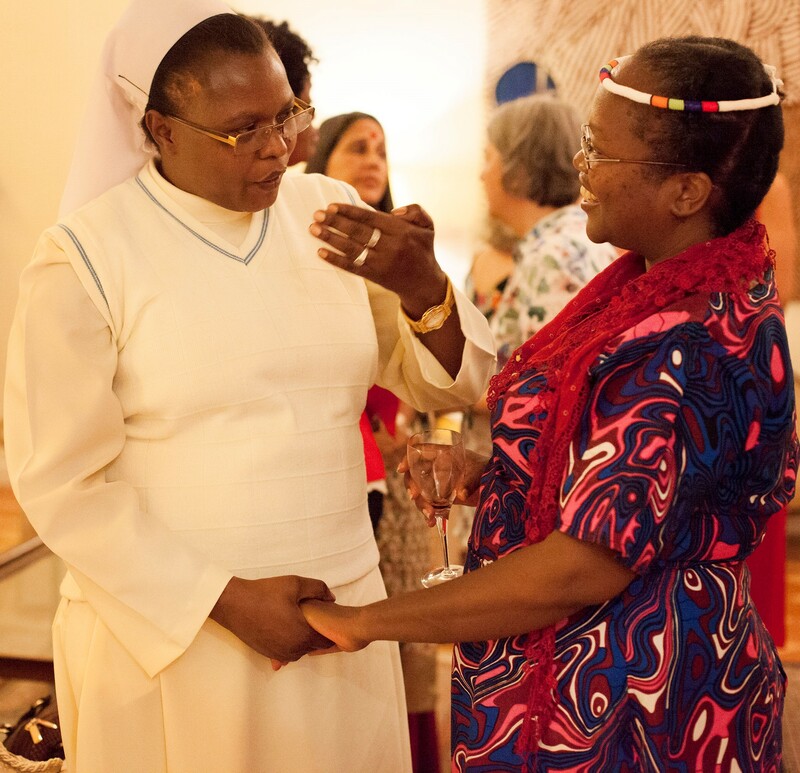 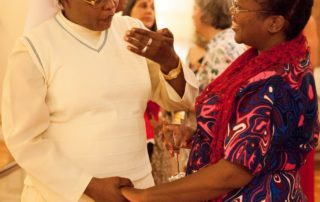 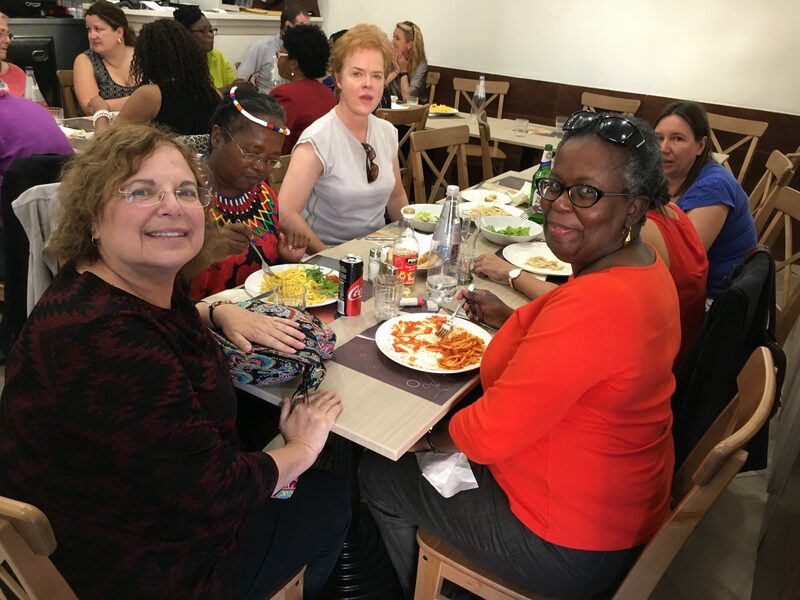 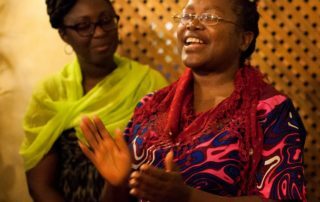 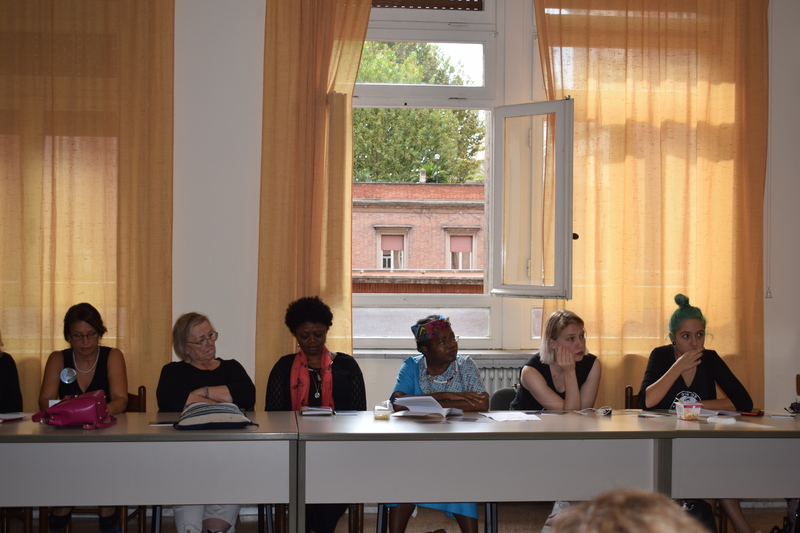 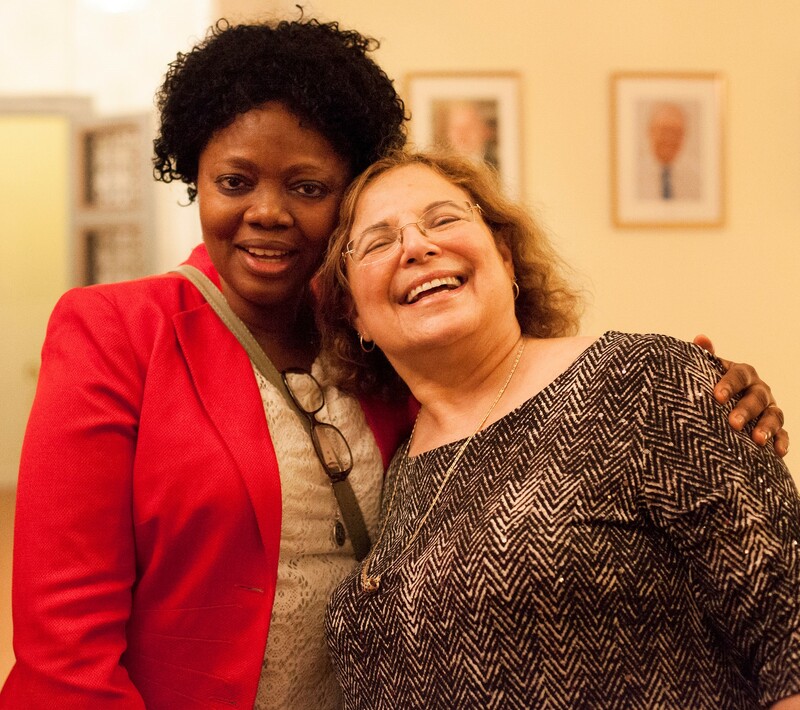 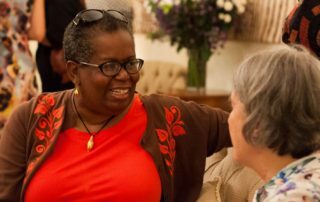 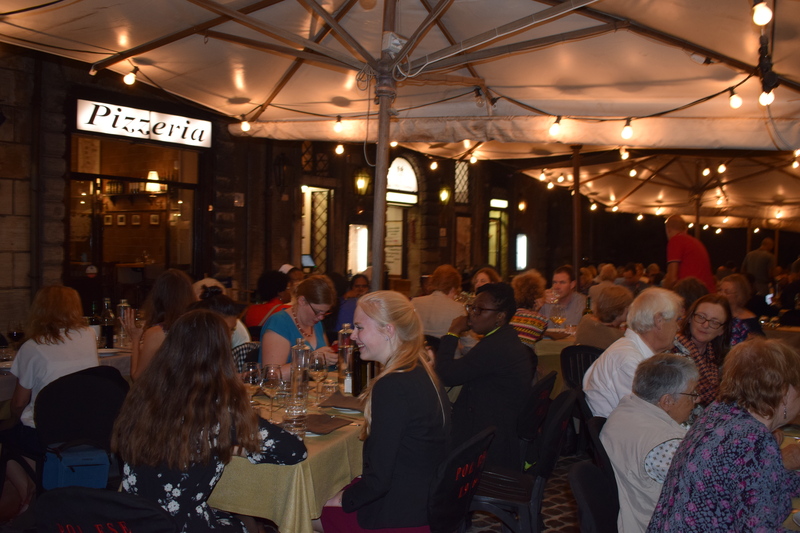 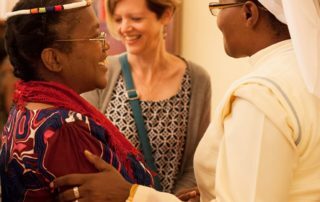 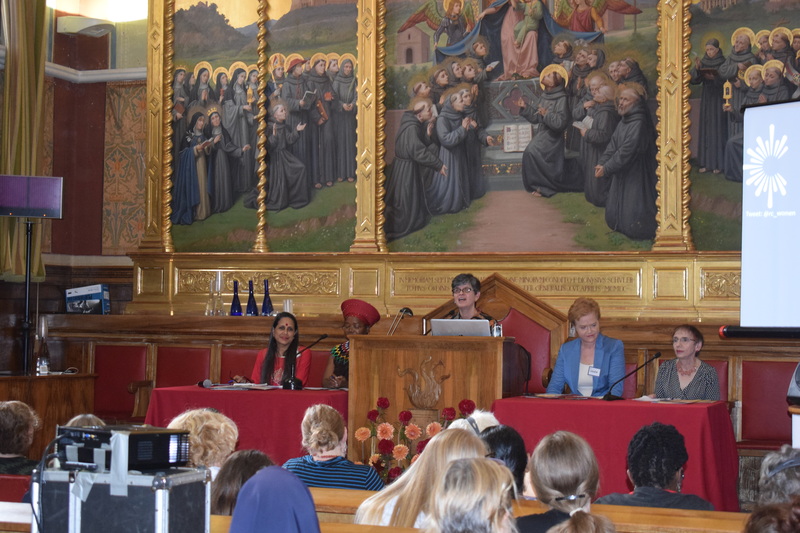 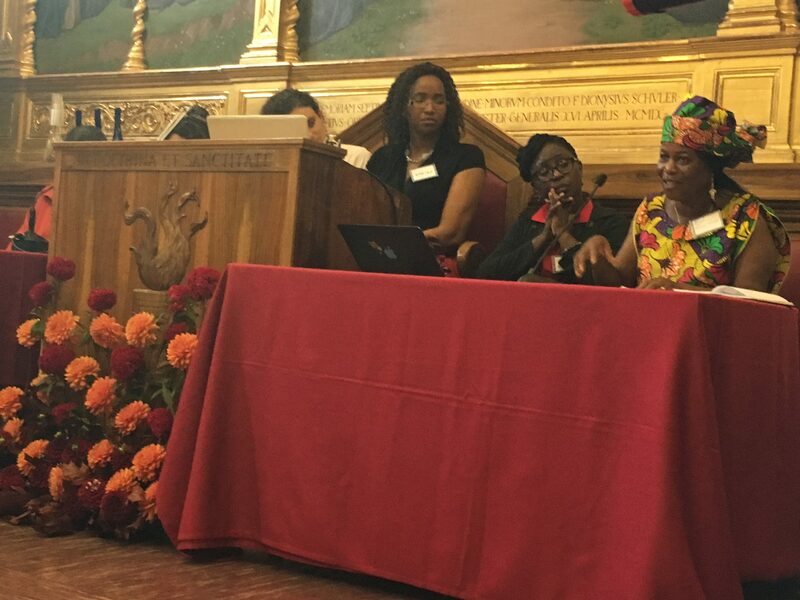 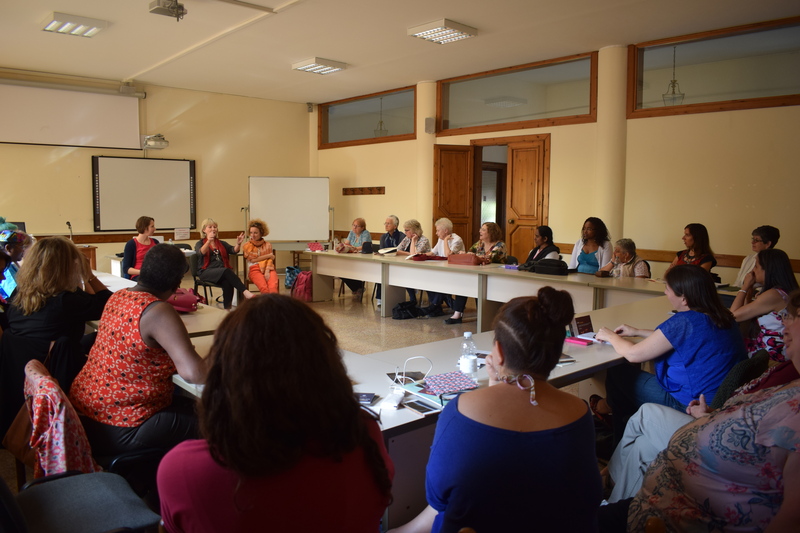 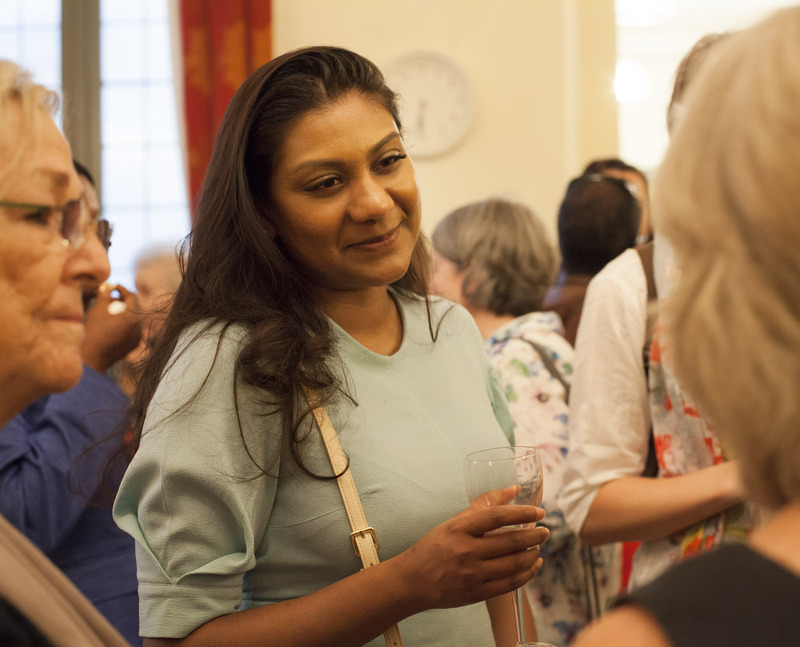 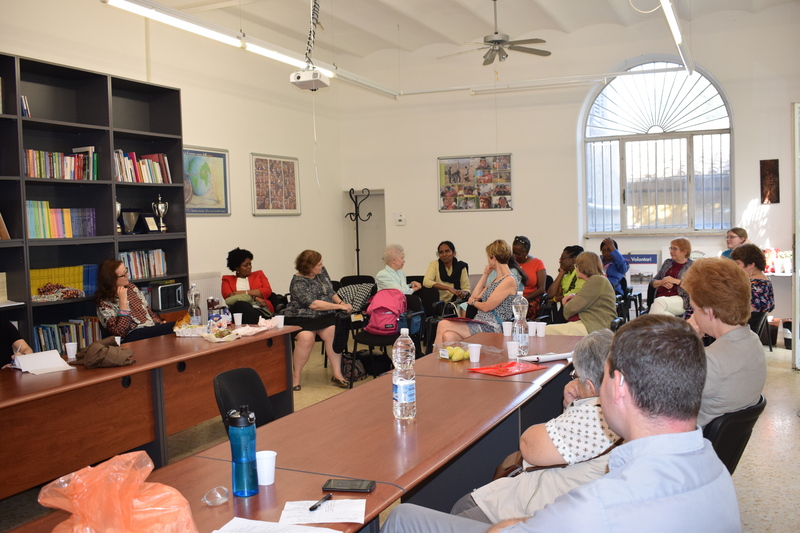 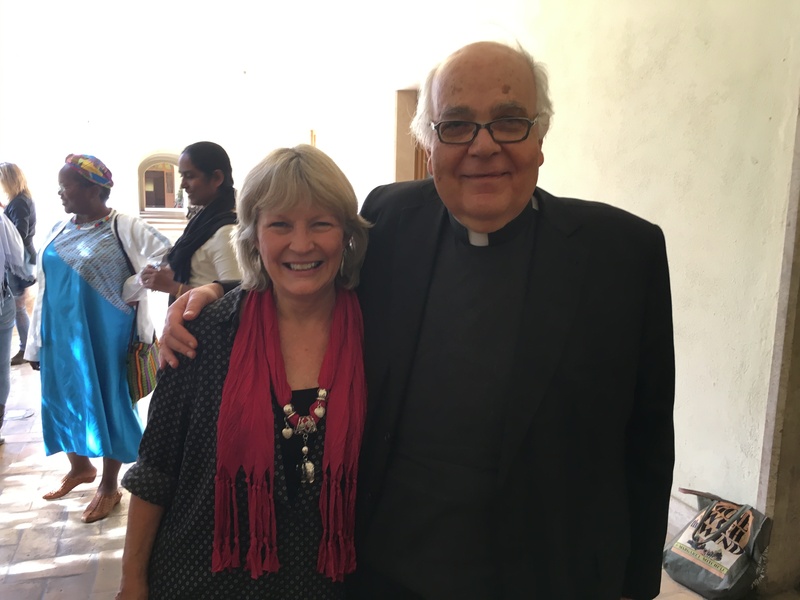 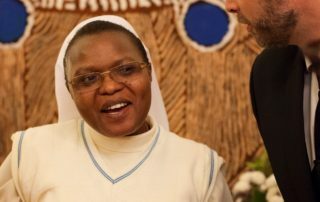 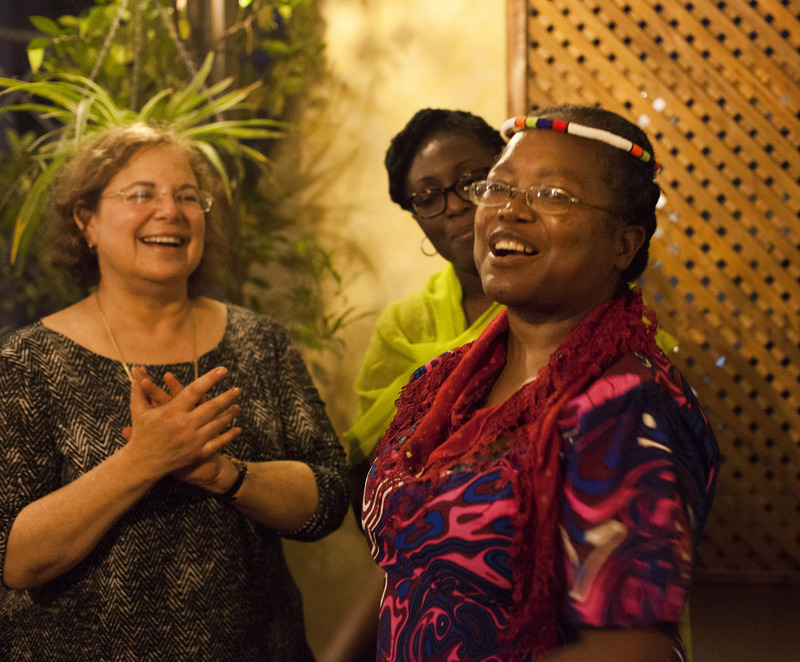 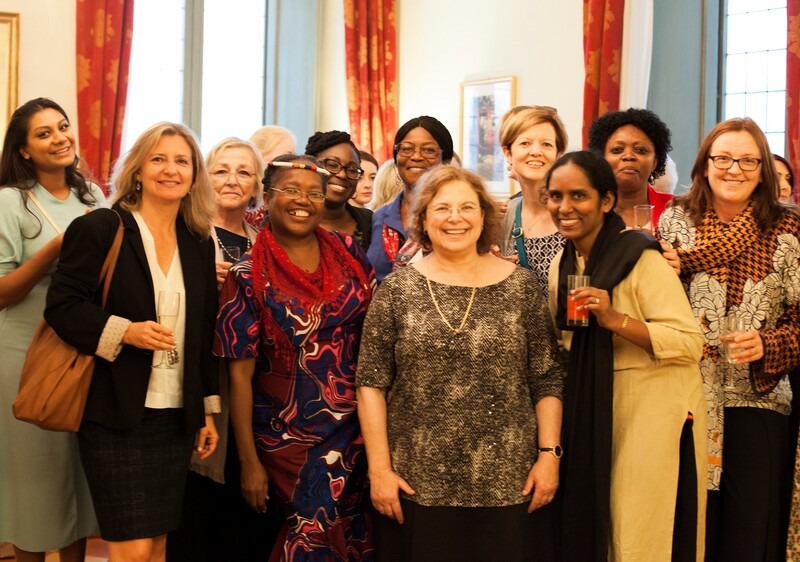 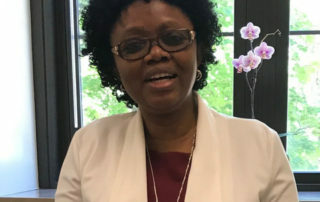 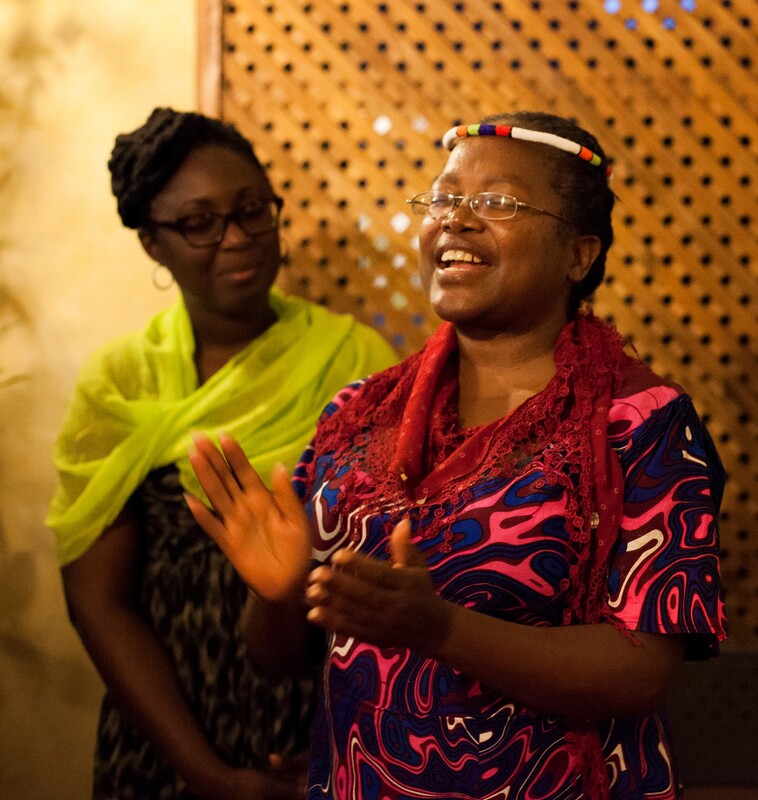 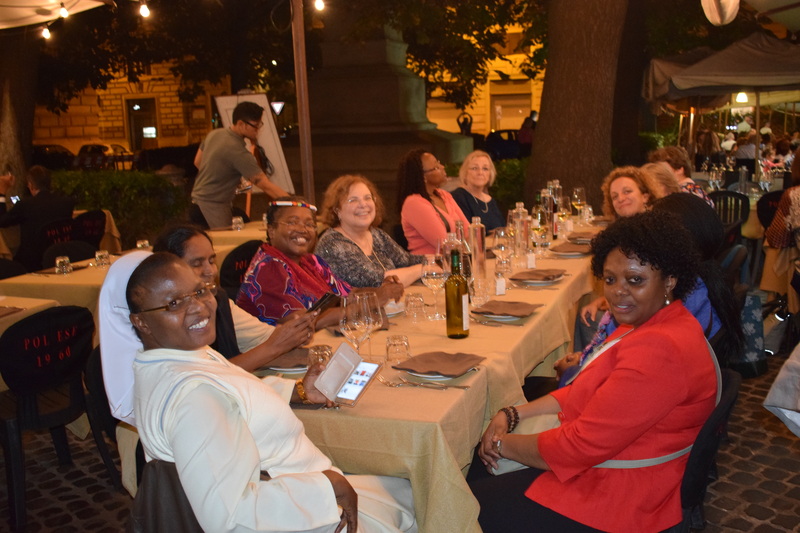 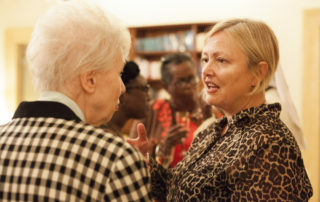 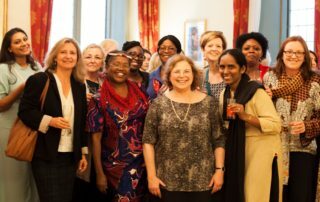 More than 60 Catholic women and girls from 20 different countries shared their personal stories and theological reflections on themes relevant to the Synod. 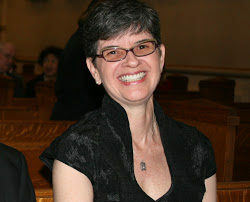 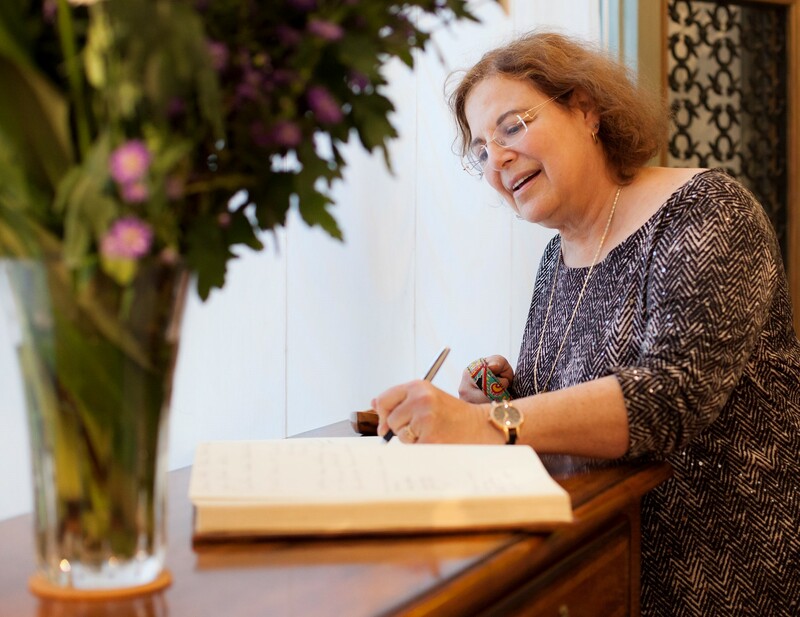 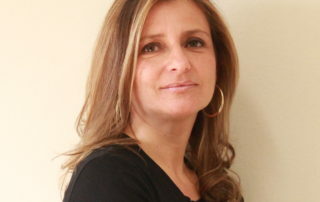 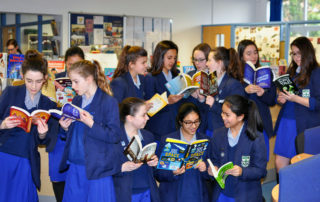 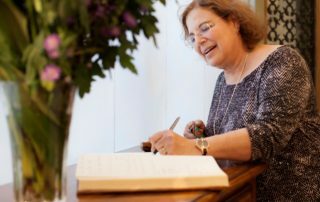 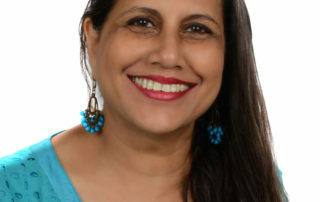 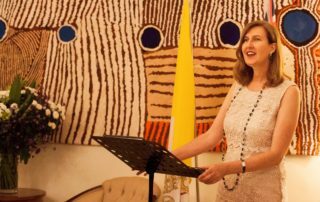 The book is intended to showcase the diversity of what it means to be Catholic and female in the modern world, and to raise awareness about the wisdom and insights that women would offer if they were full and equal participants in the formation of church teaching and practice. 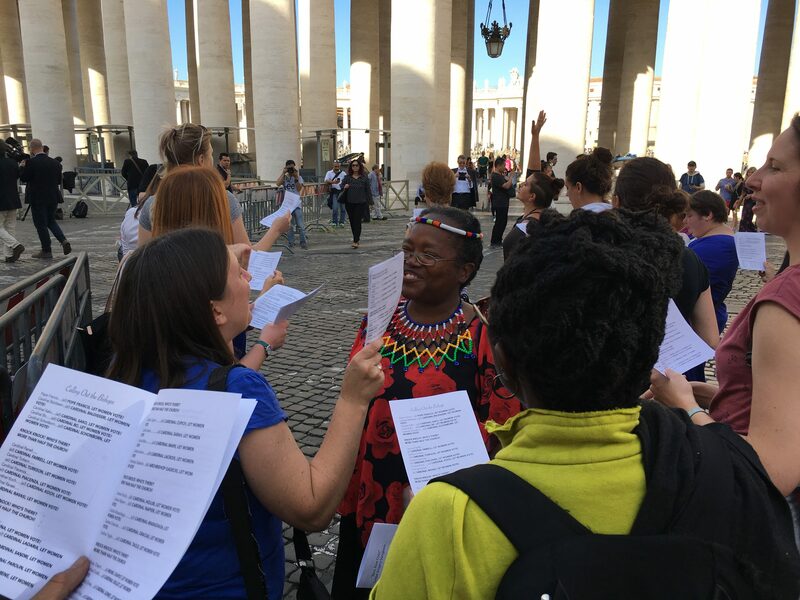 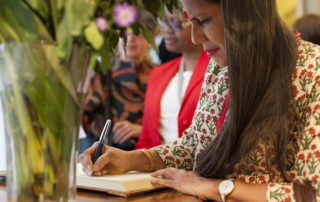 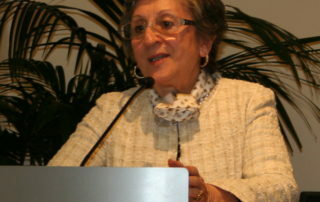 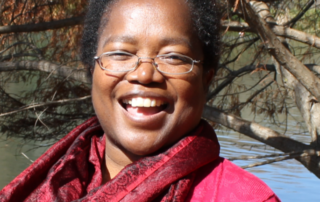 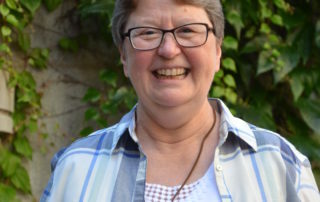 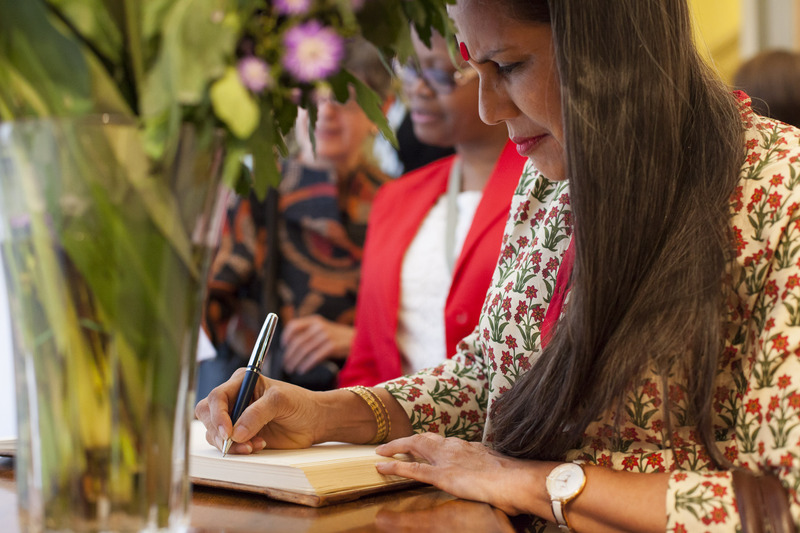 300 copies of the book were made available in the Synod venue free of charge, as an invitation to the bishops participating in the Synod to engage more fully with women’s voices and to enter into dialogue and collaboration with women from different contexts and cultures. 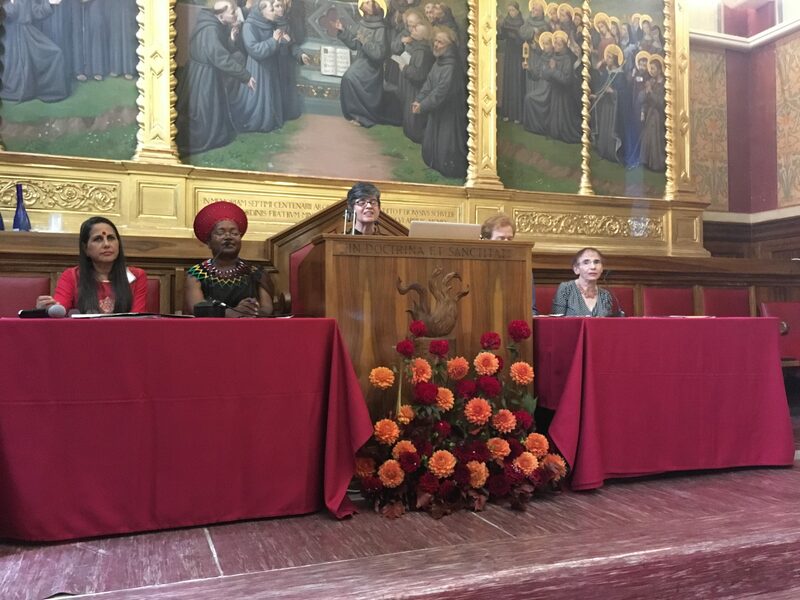 We were delighted when Cardinal Bo of Myanmar held up a copy of Visions and Vocations at a Synod press conference and said that he was reading it. 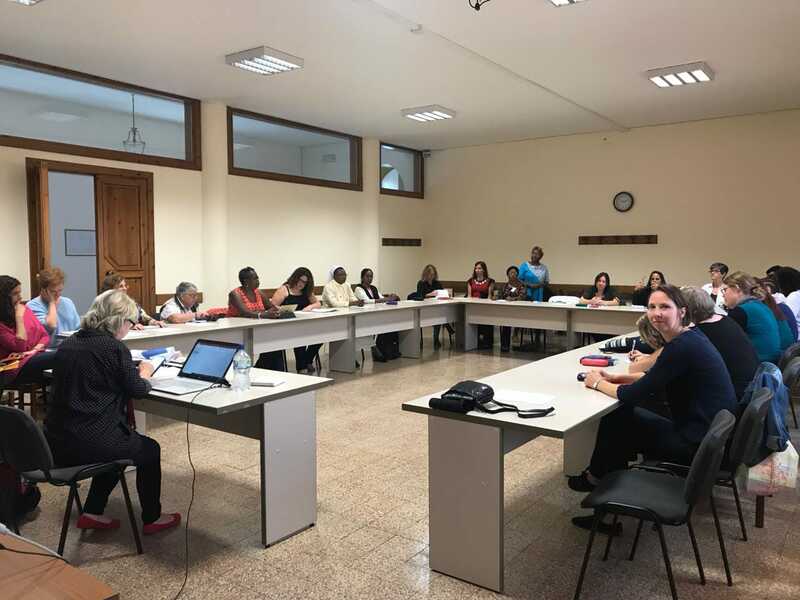 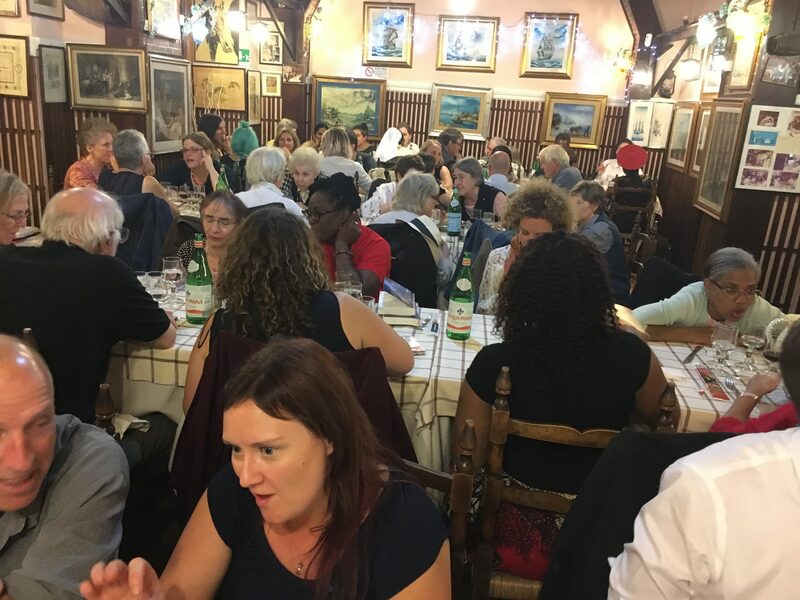 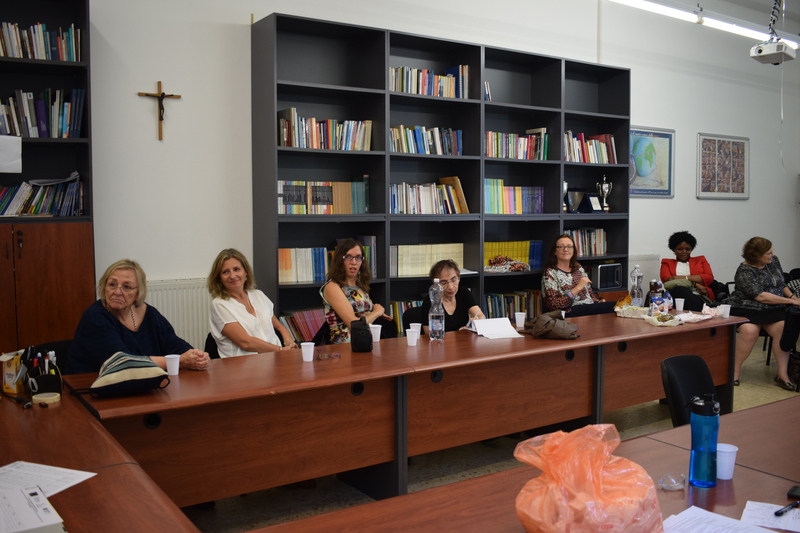 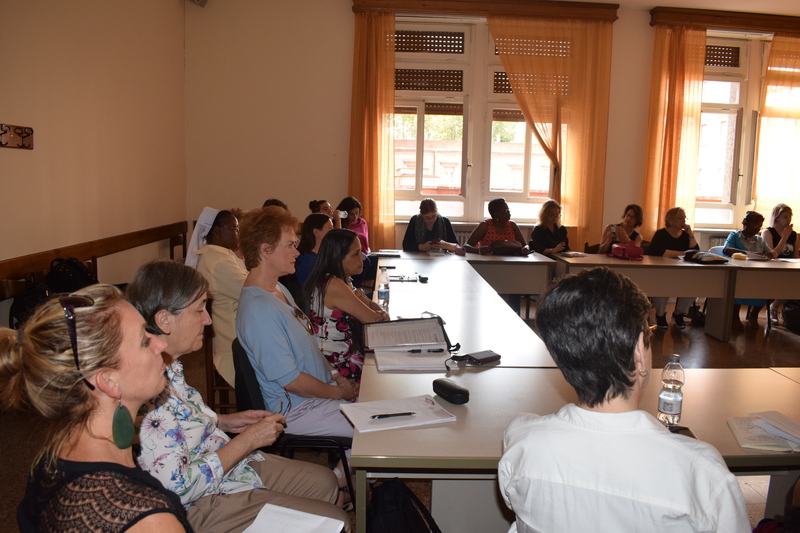 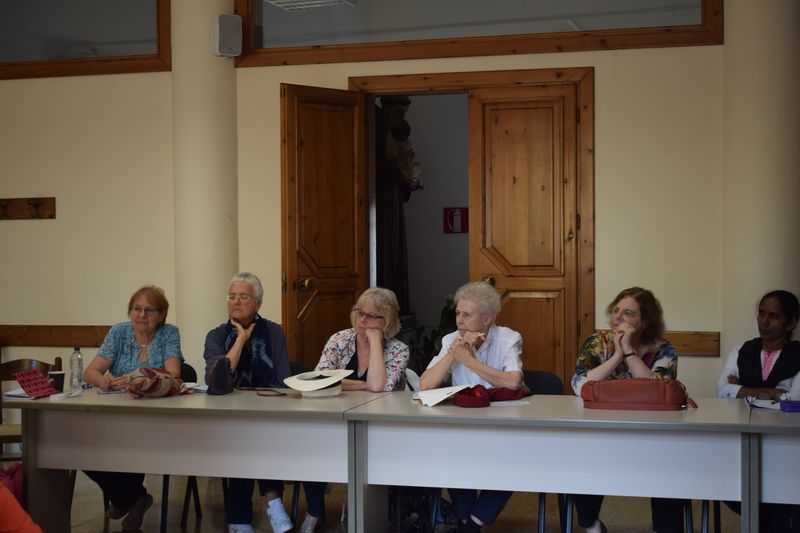 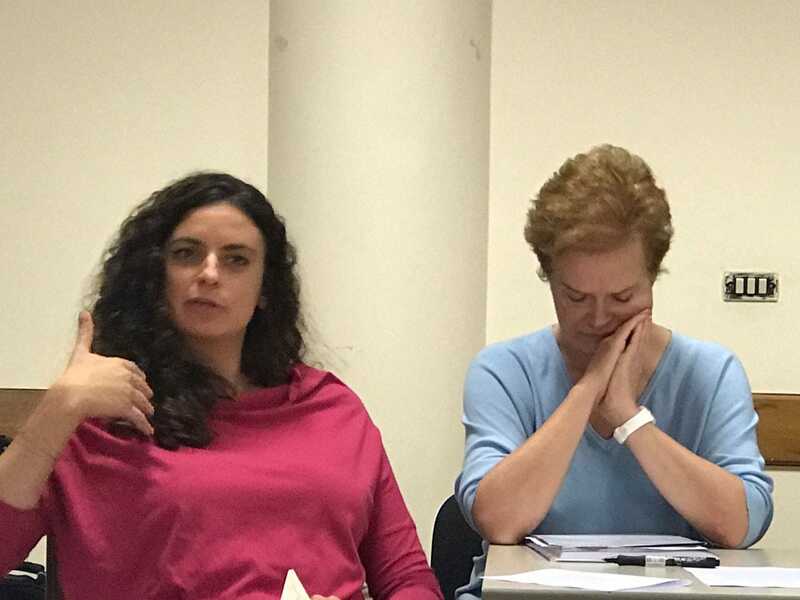 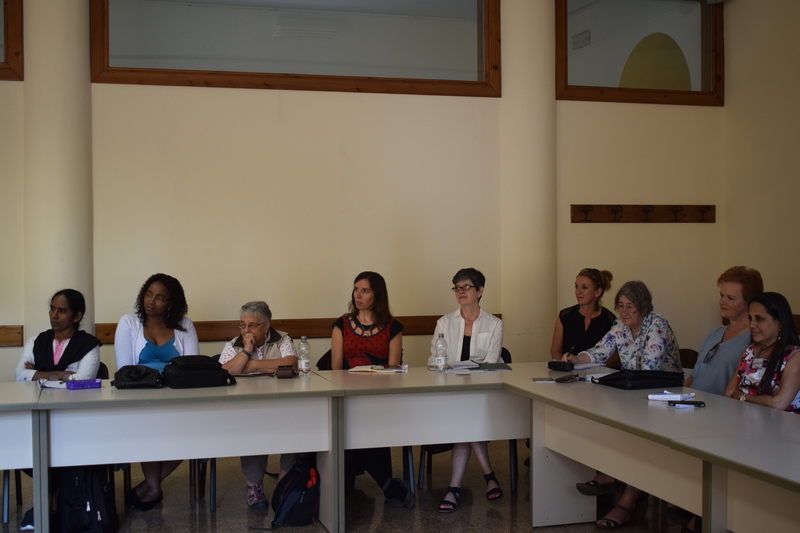 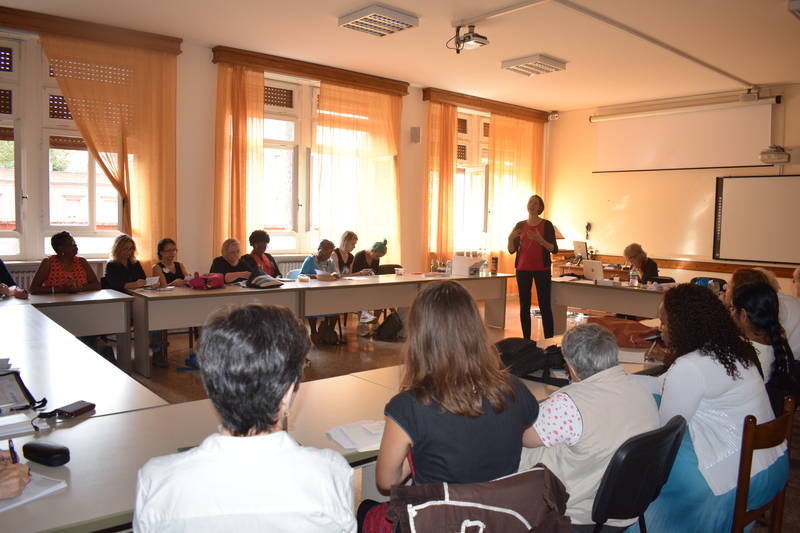 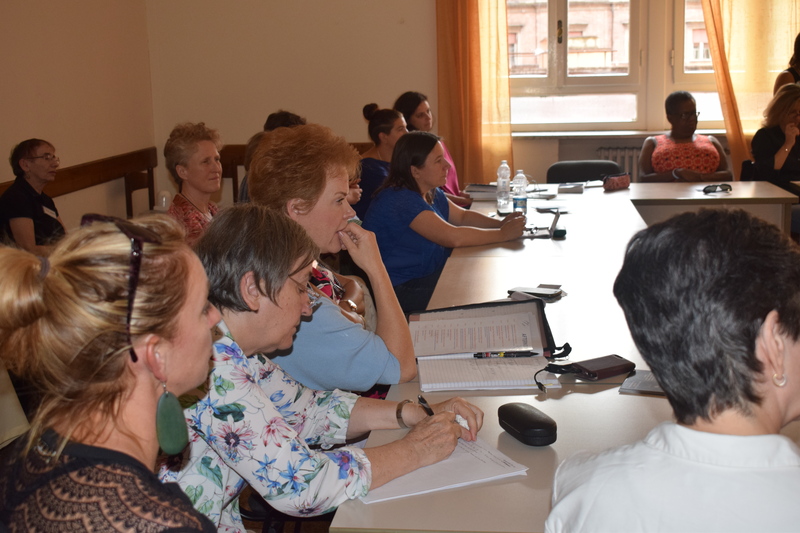 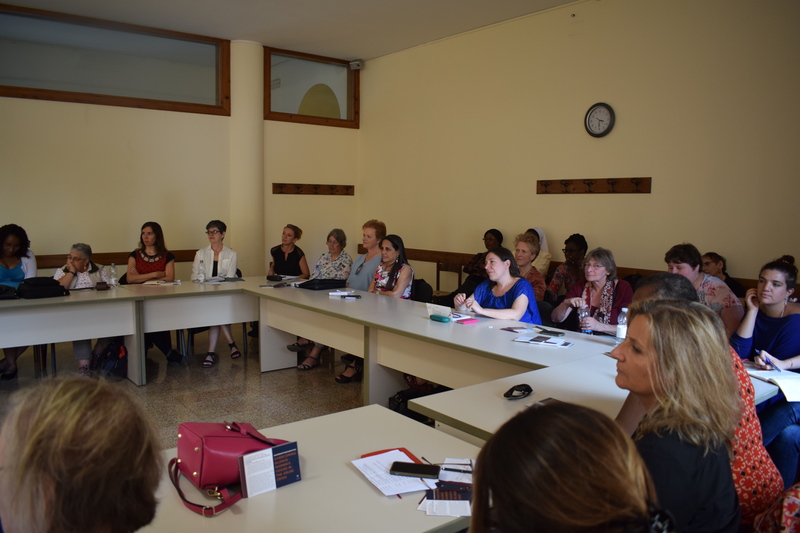 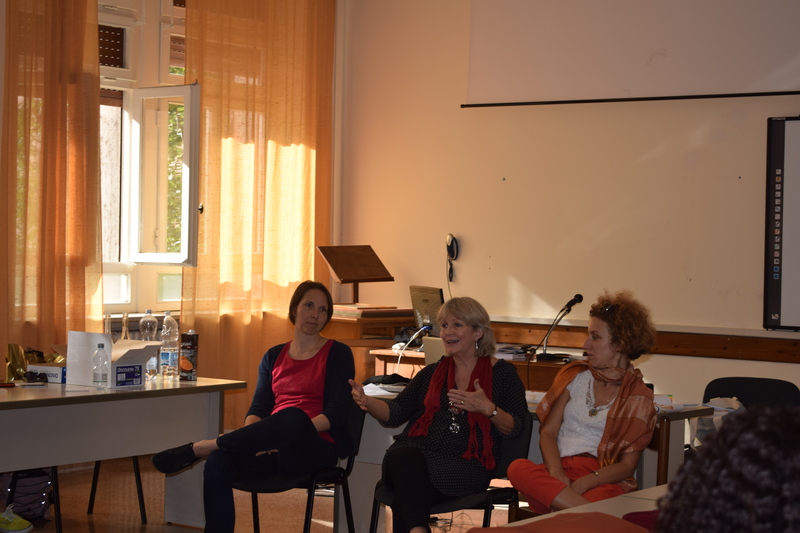 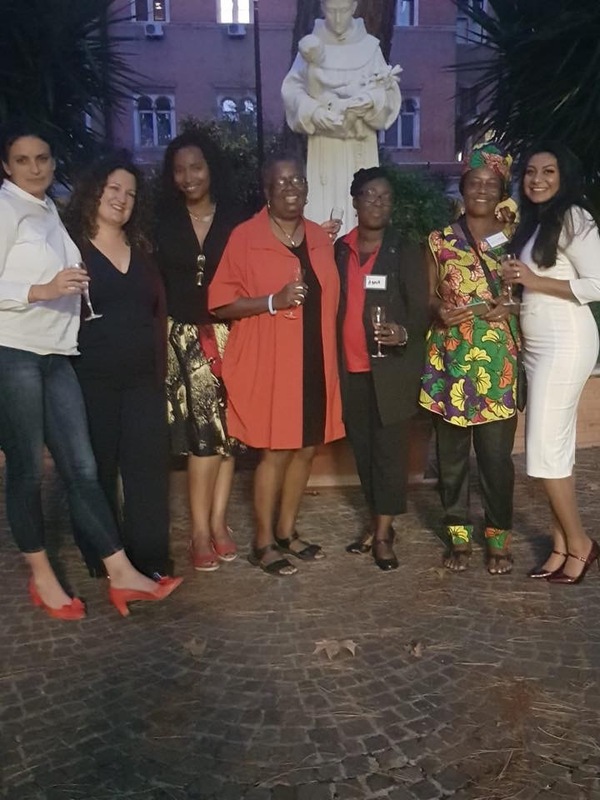 About 60 members of Catholic Women Speak gathered in Rome for a book launch and symposium at the Pontifical University Antonianum on Monday, 1st October 2018. 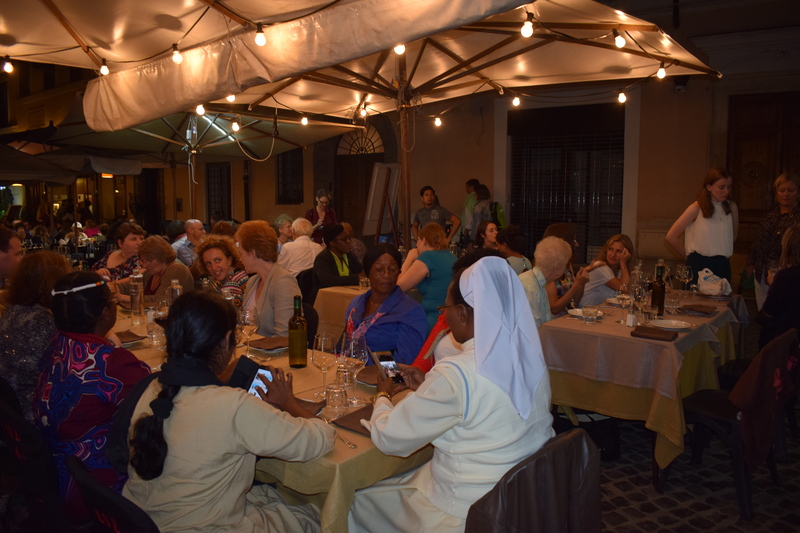 Our time together began with a Laudato Si’ Mass in the wild and beautiful gardens of the RSCJ sisters in Trastevere on Sunday, 30th October. 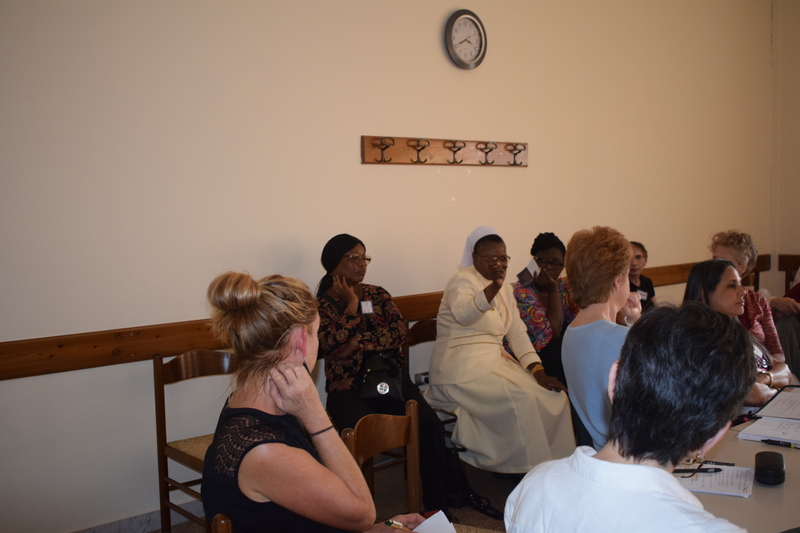 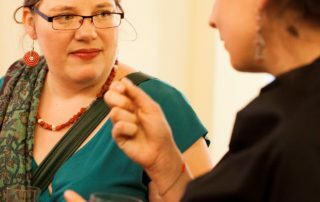 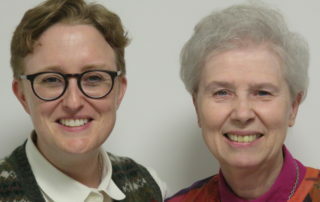 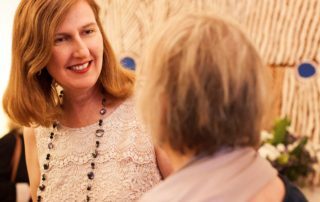 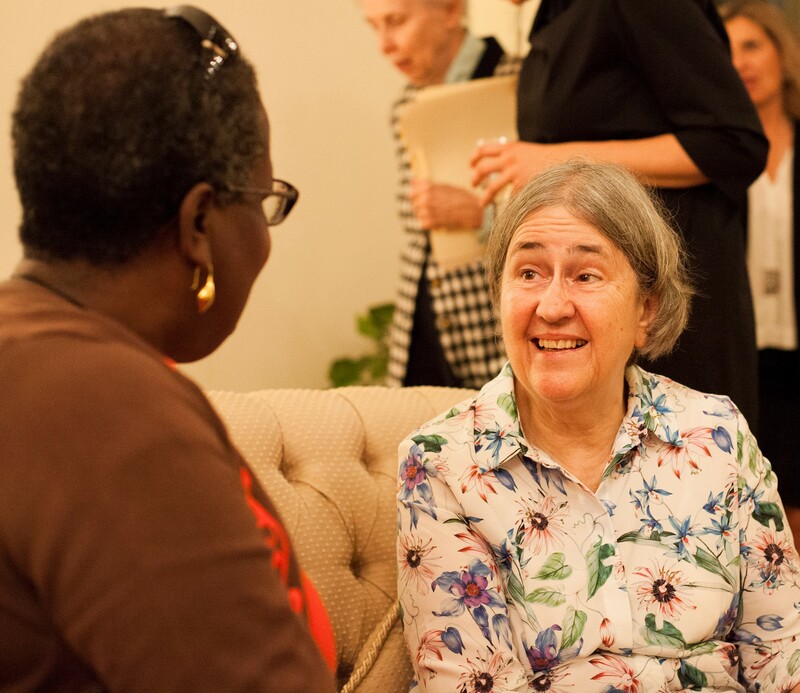 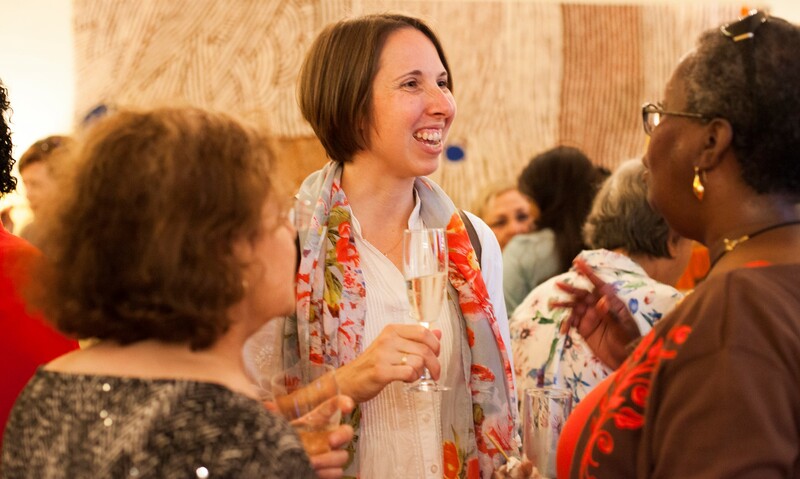 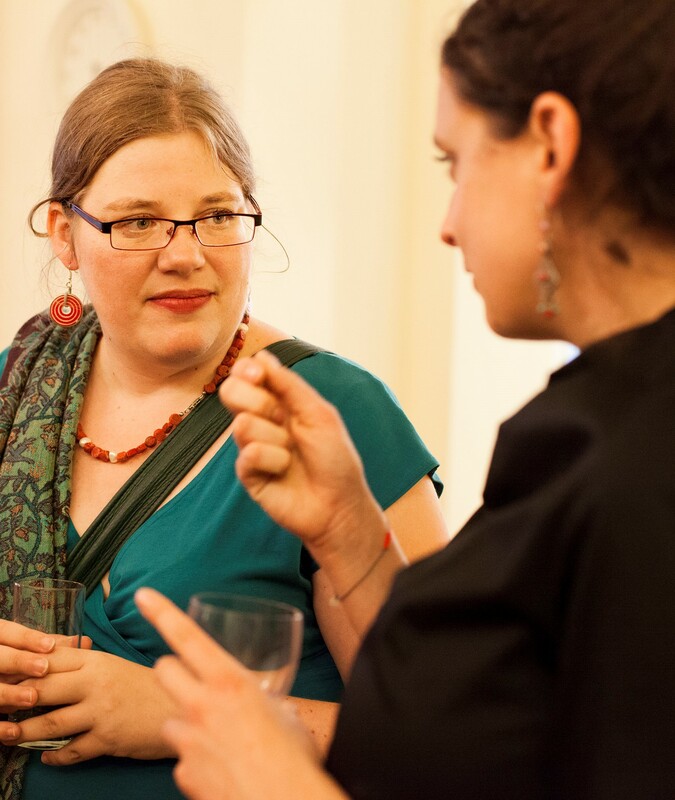 We spent Tuesday sharing feedback and ideas for the future of Catholic Women Speak. 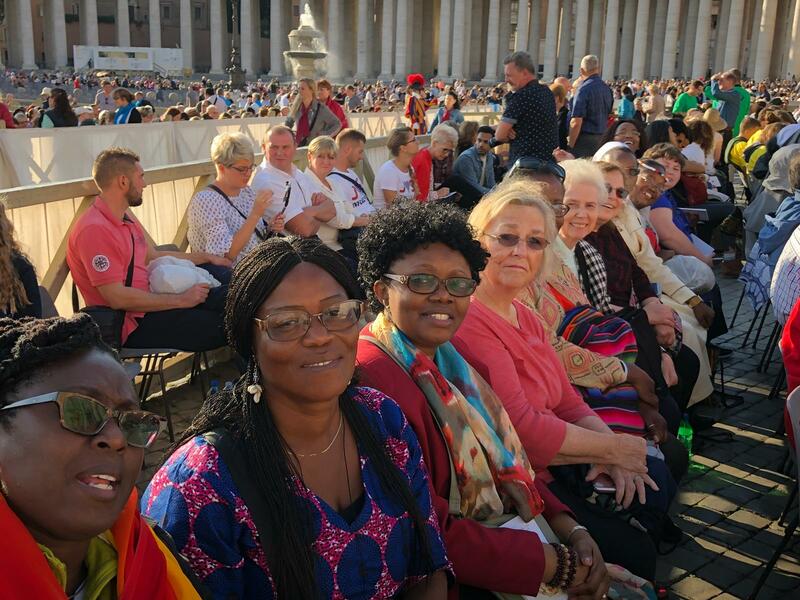 On Wednesday, some of our members attended the papal Mass in the morning, and in the afternoon some joined a demonstration outside the Vatican as the bishops gathered for the Synod. 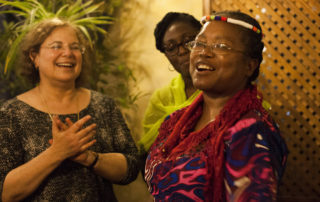 Chanting the slogan, “Knock, knock, who’s there? 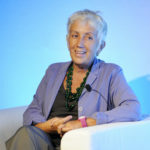 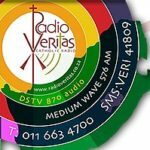 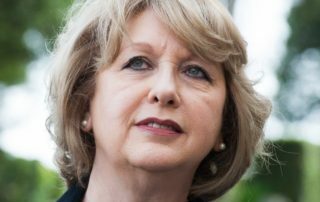 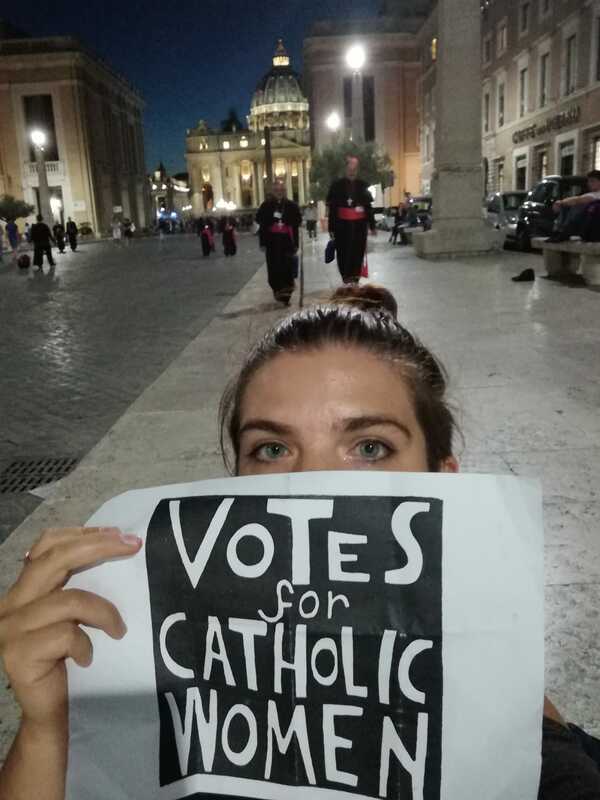 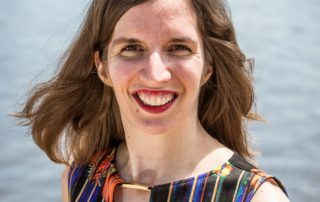 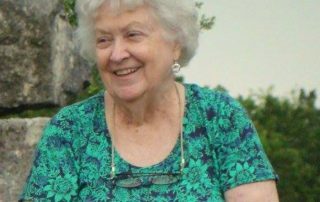 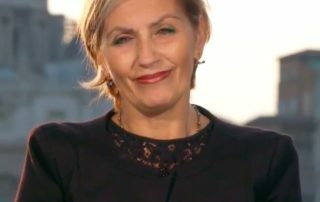 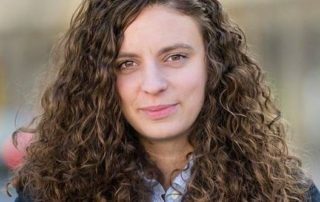 – More than half the Church”, the small group of peaceful protesters were campaigning for women religious to be allowed to vote at the Synod, in the same way as their male counterparts. 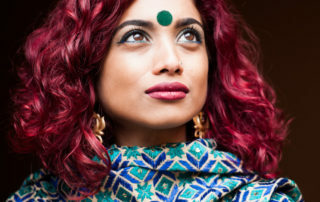 You can read more about this campaign by scrolling down. 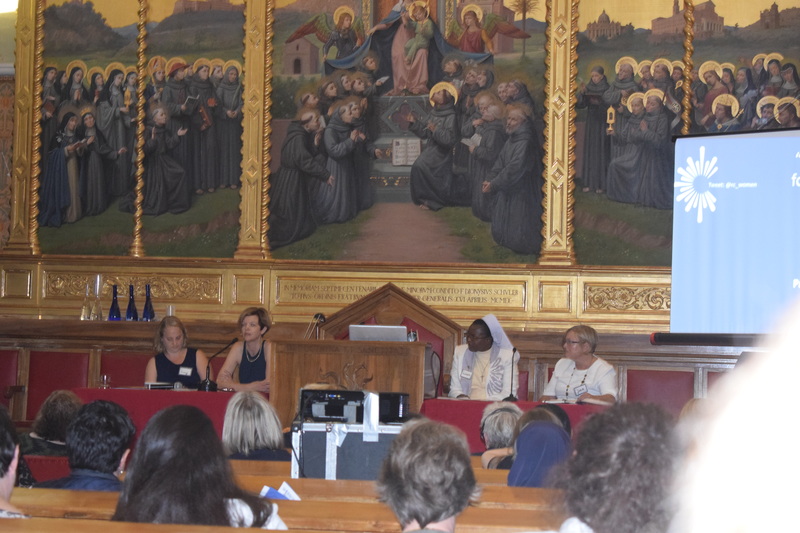 Watch the videos of our symposium here. 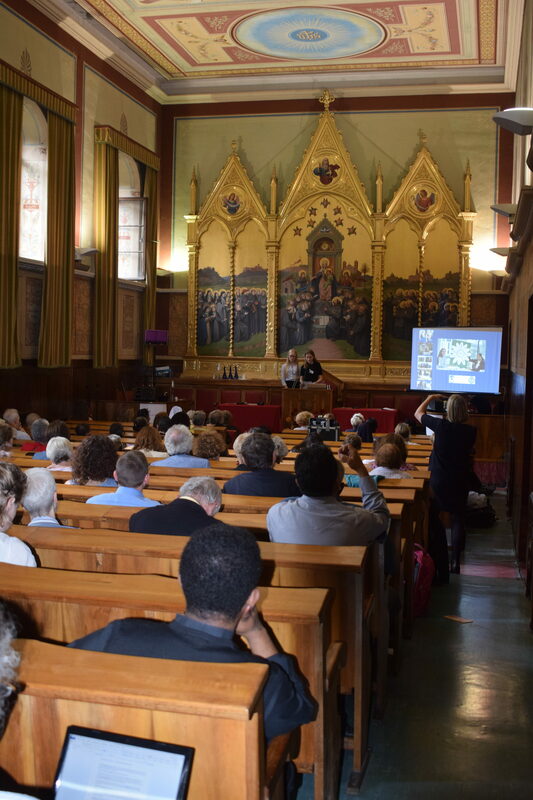 These will be edited and labelled more clearly, but you can watch selected sessions by scrolling through these unedited versions and following the running order listed in the programme beneath the videos. 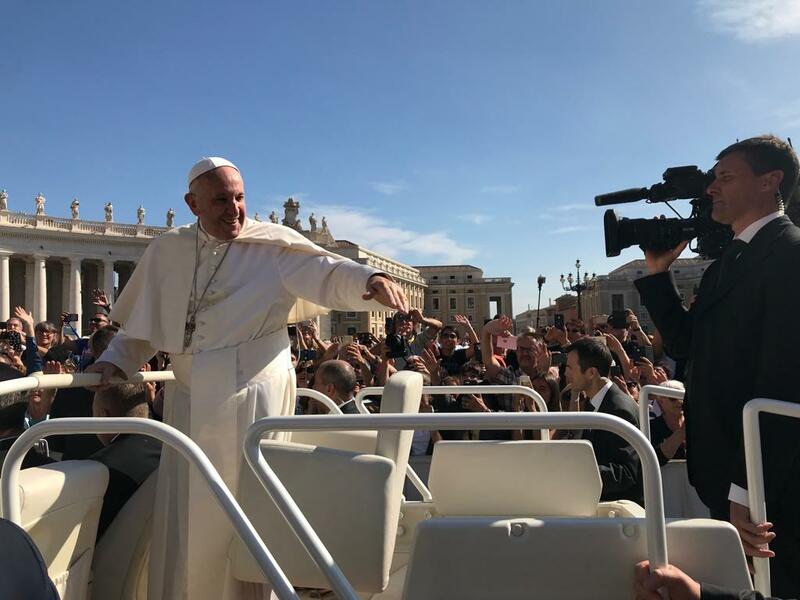 To see exact locations of each section on the video, please see timings in italics and brackets below. 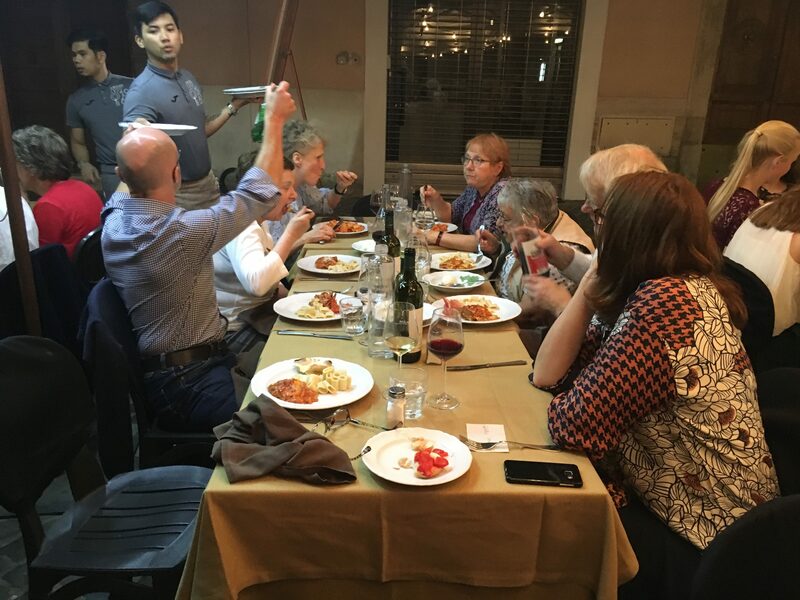 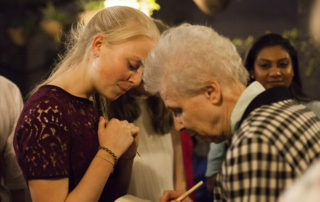 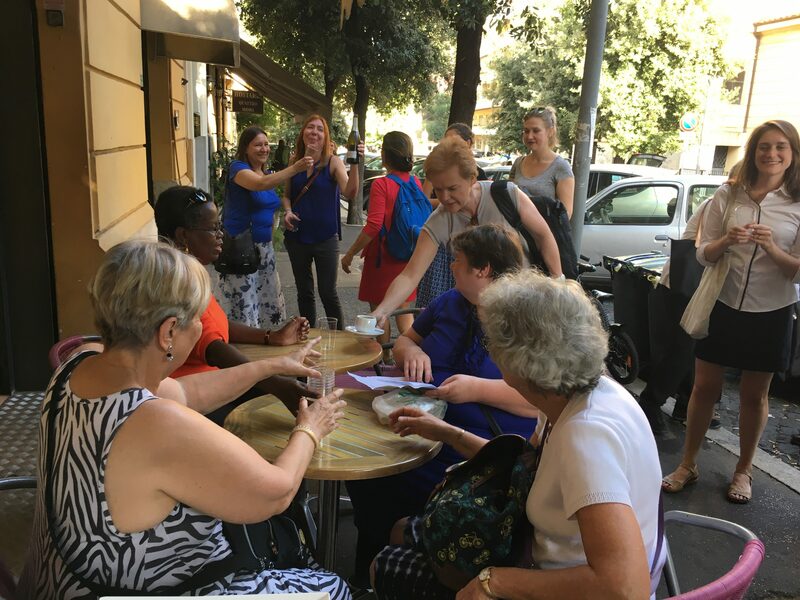 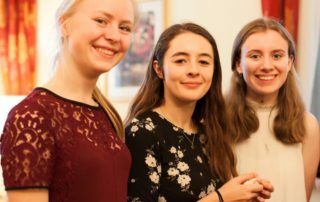 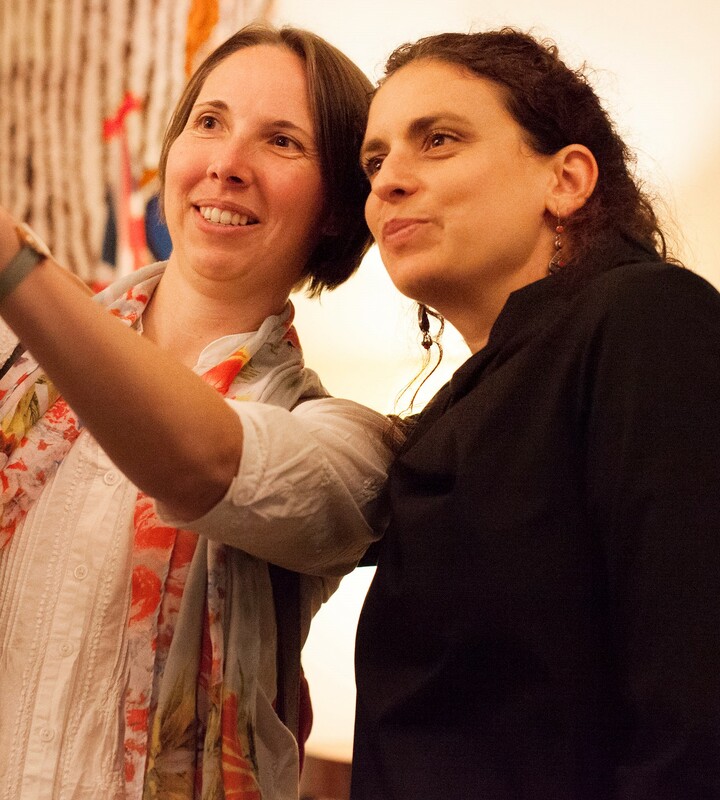 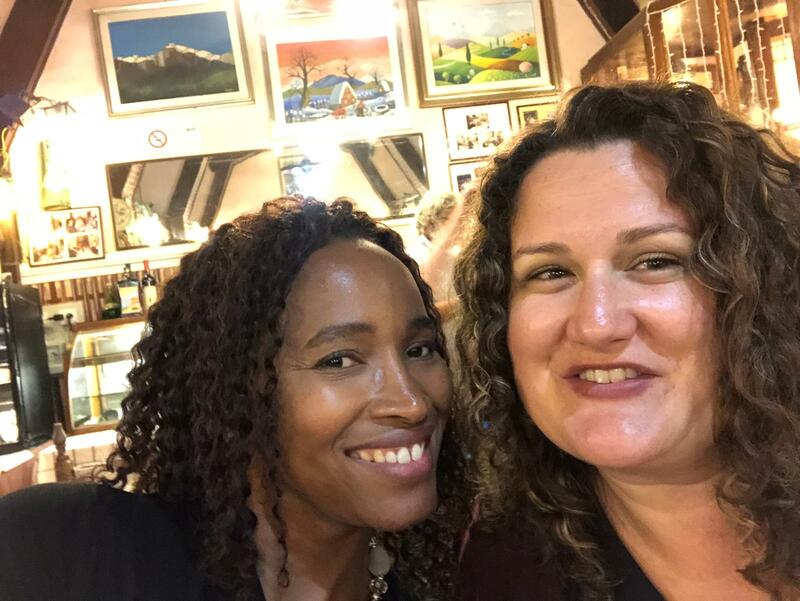 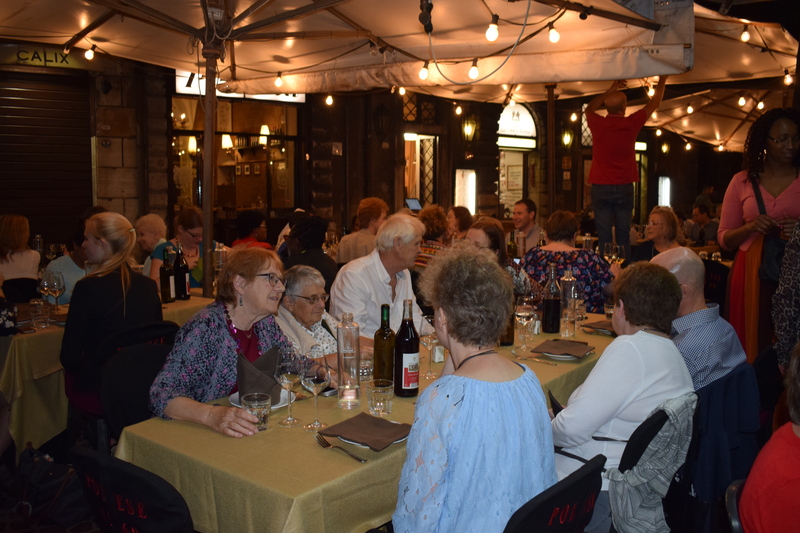 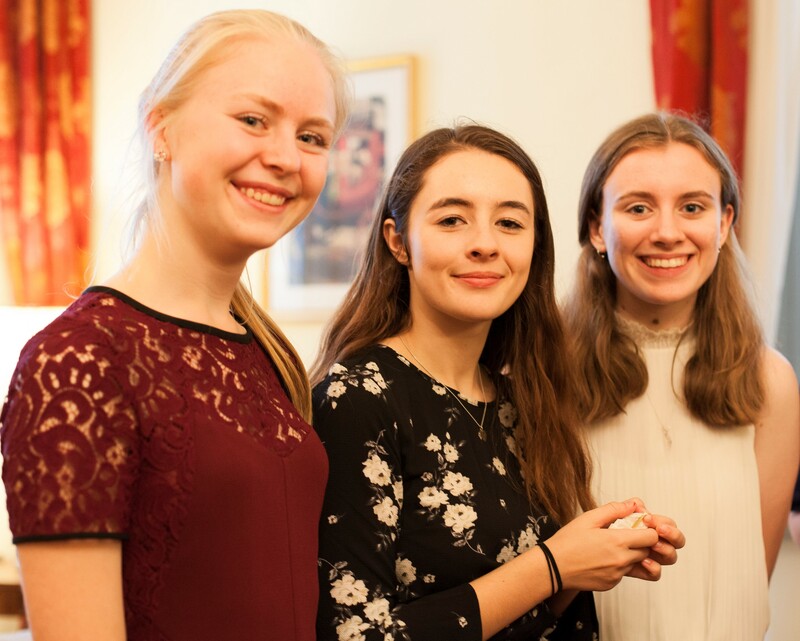 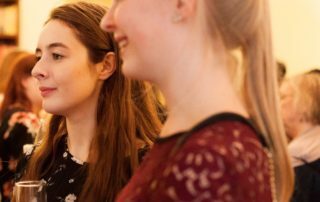 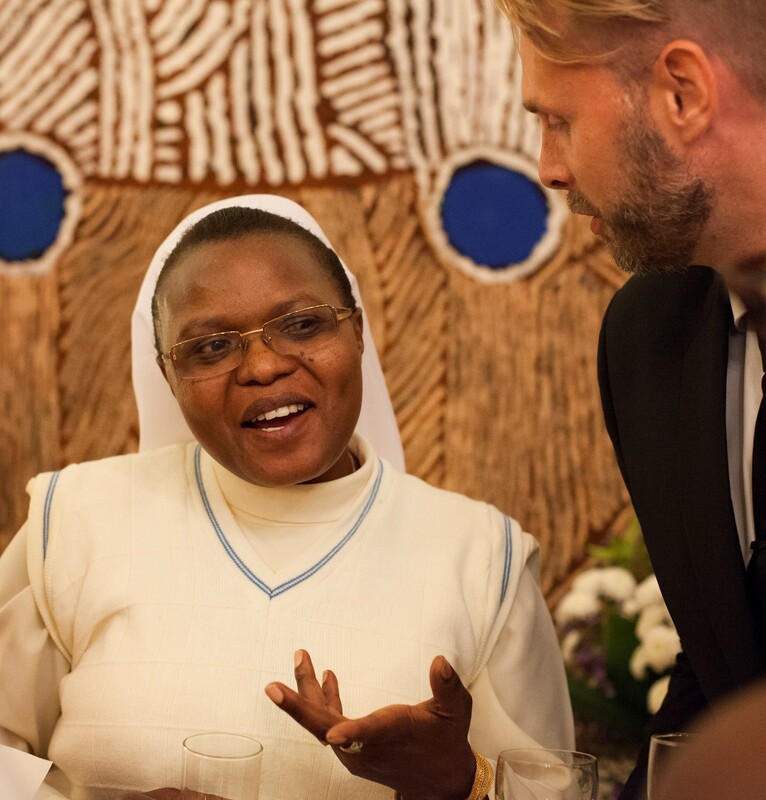 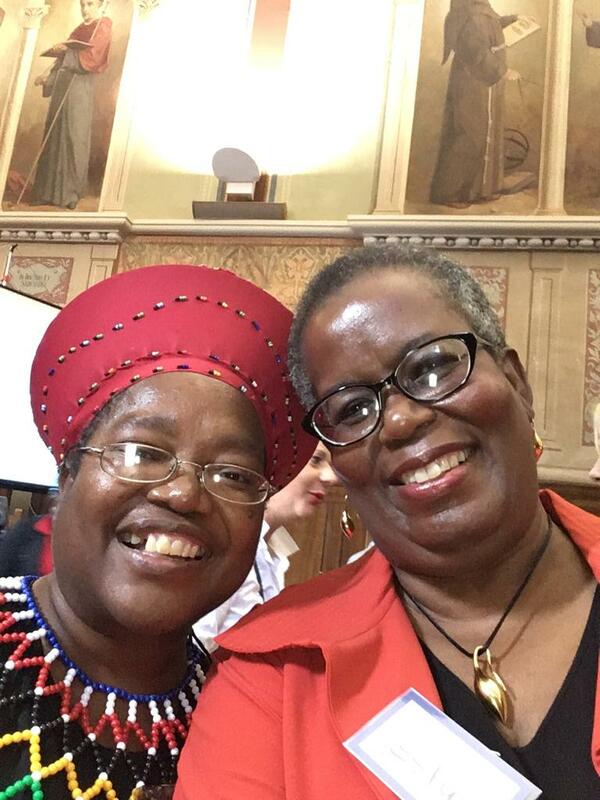 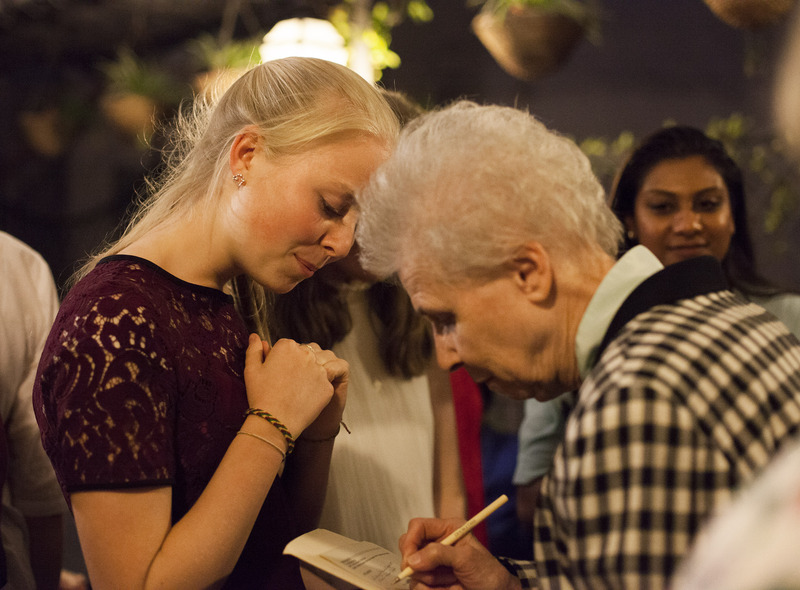 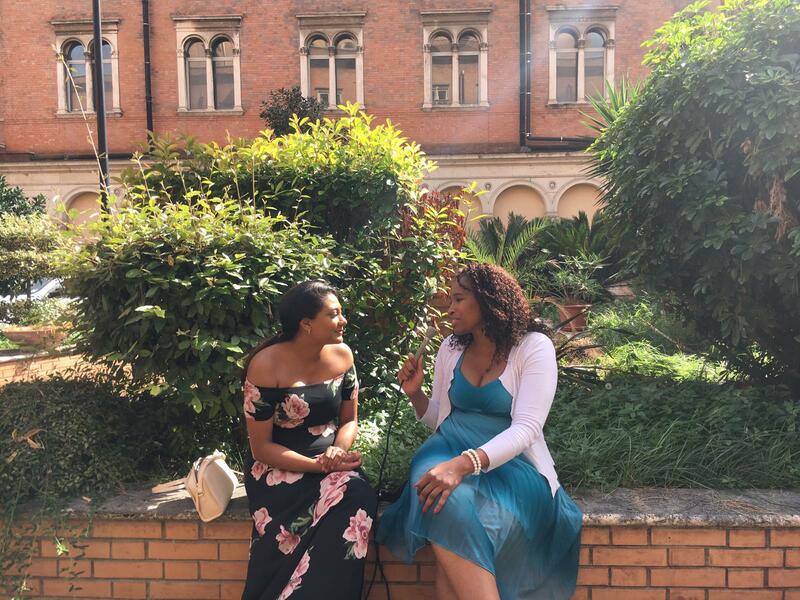 Scroll through below for a selection of photos from our gathering in Rome from 30th September to 4th October to celebrate the launch of Visions and Vocations. 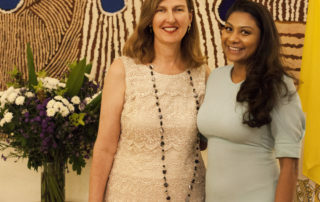 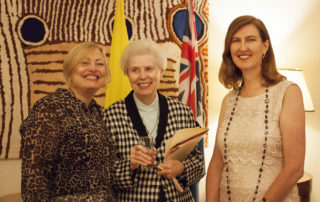 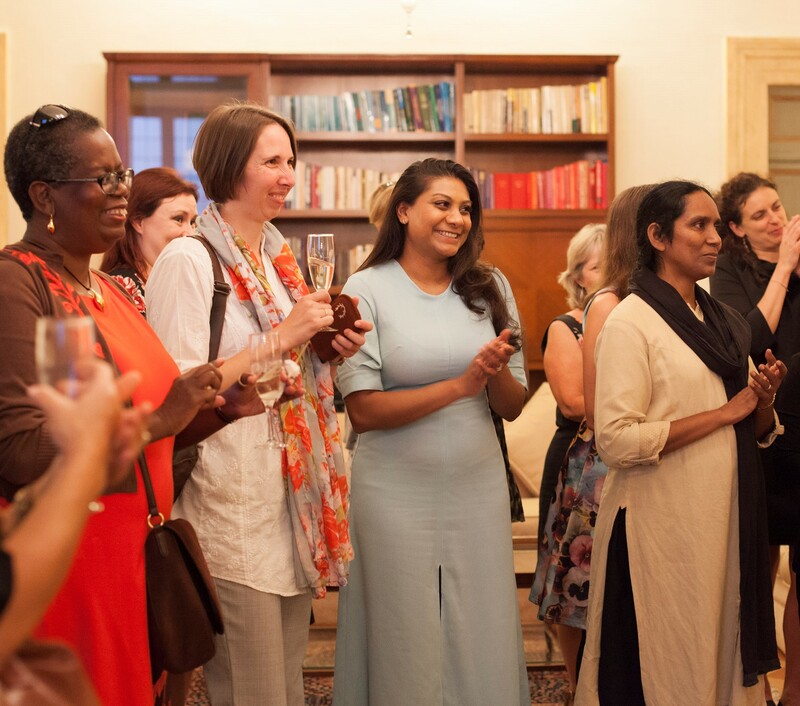 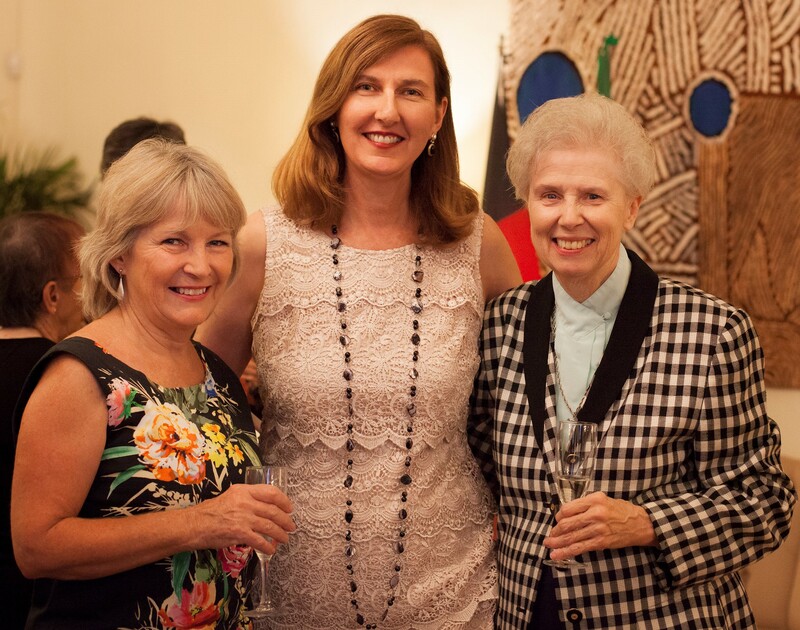 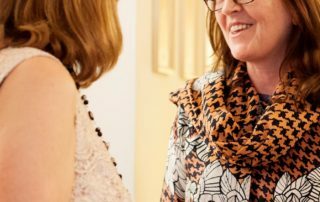 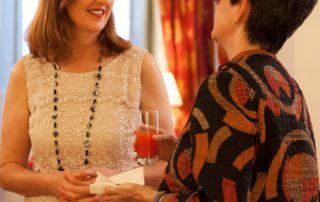 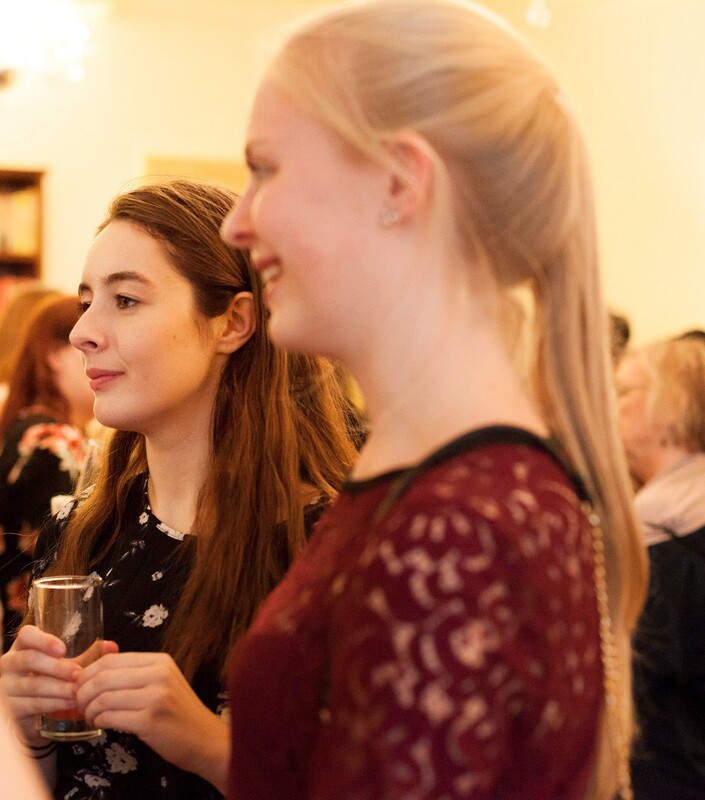 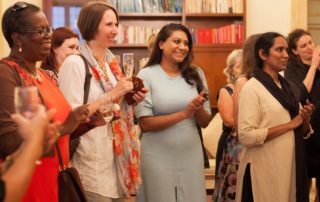 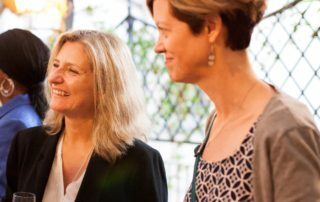 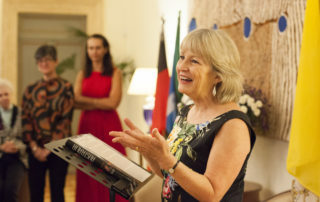 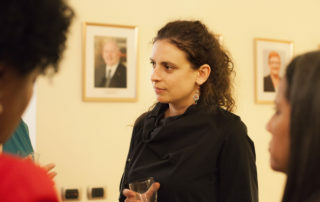 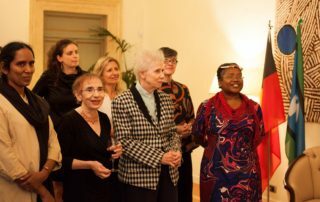 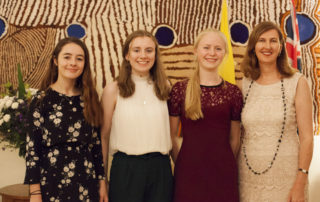 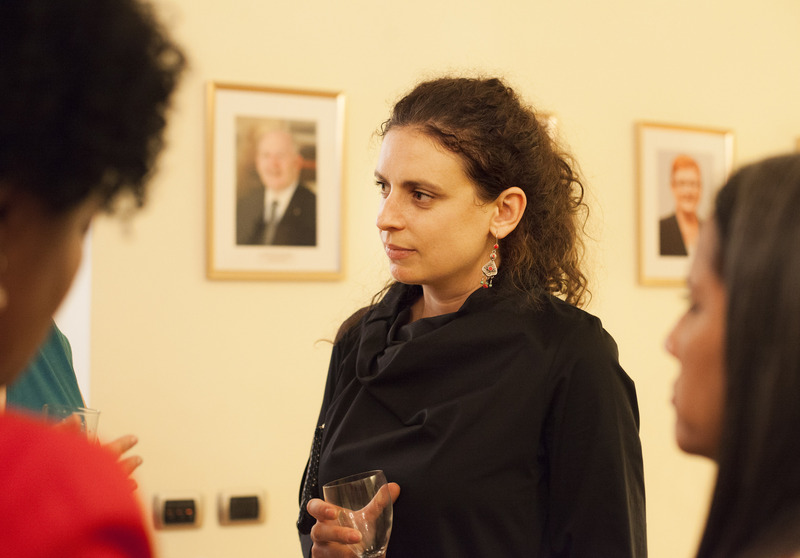 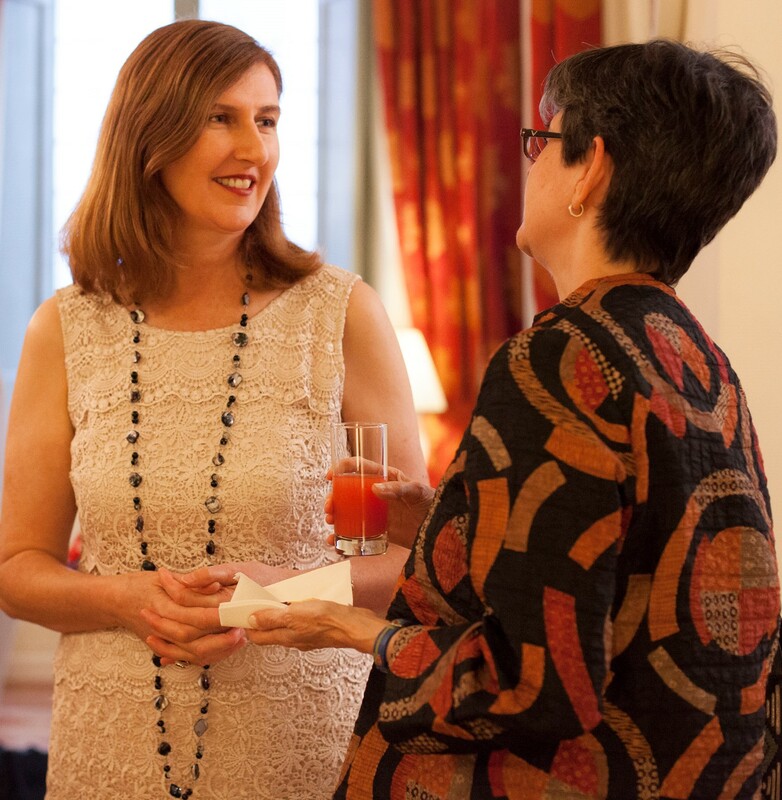 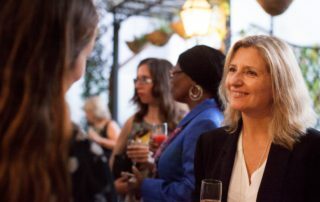 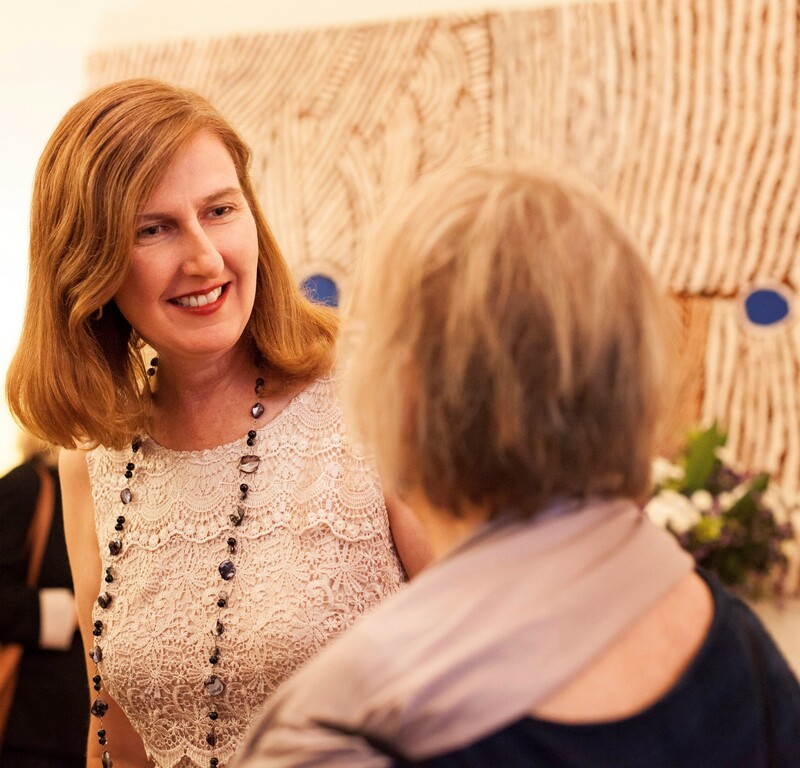 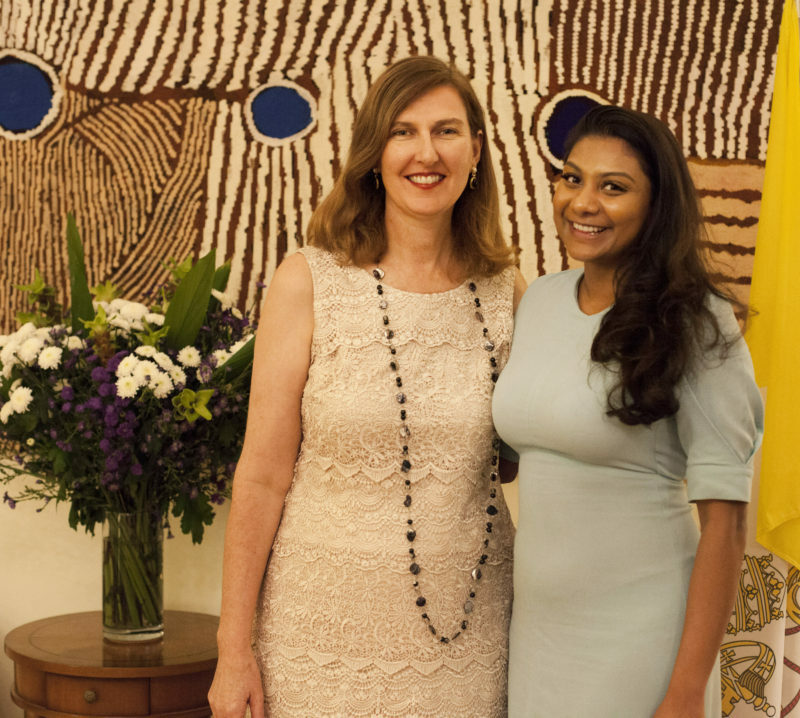 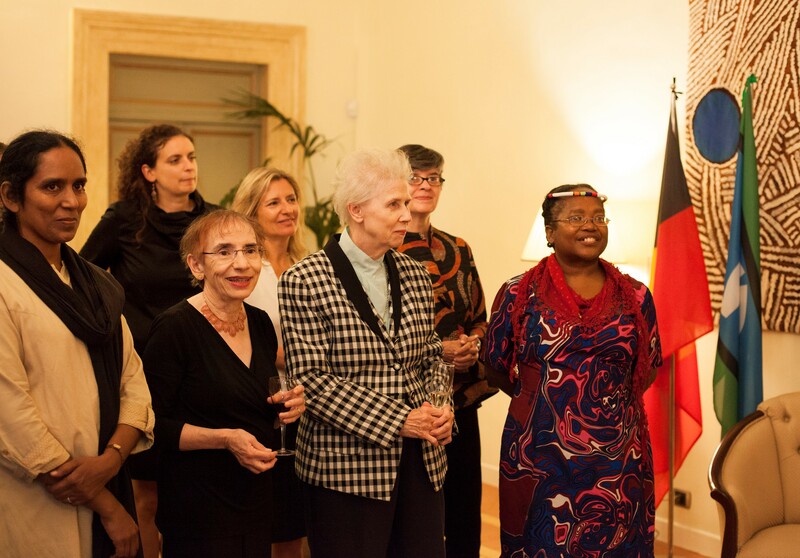 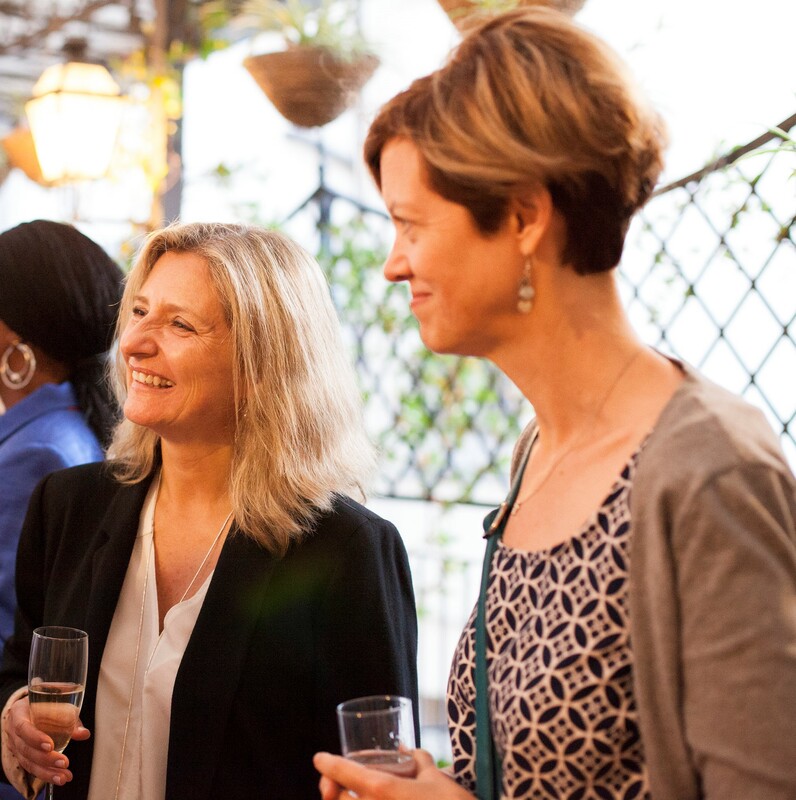 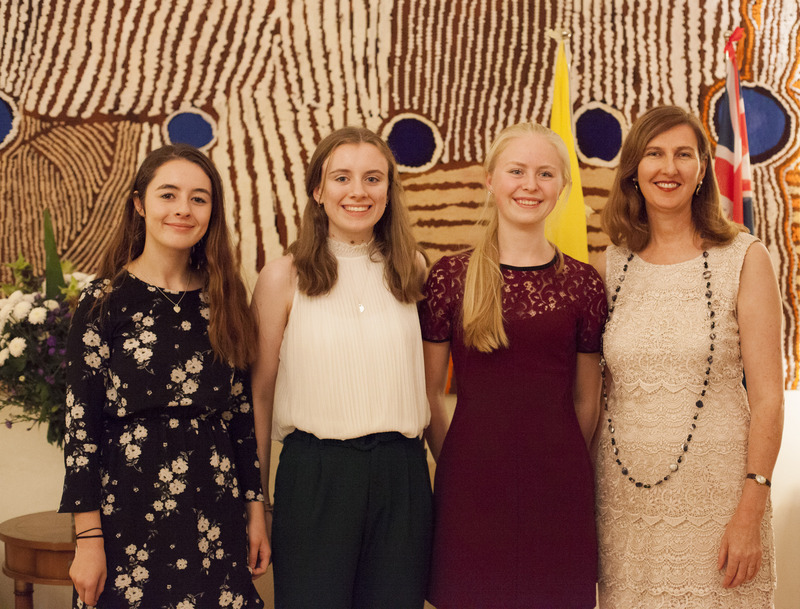 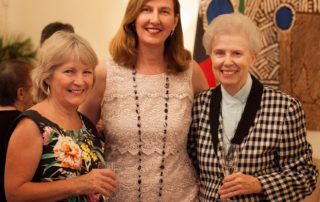 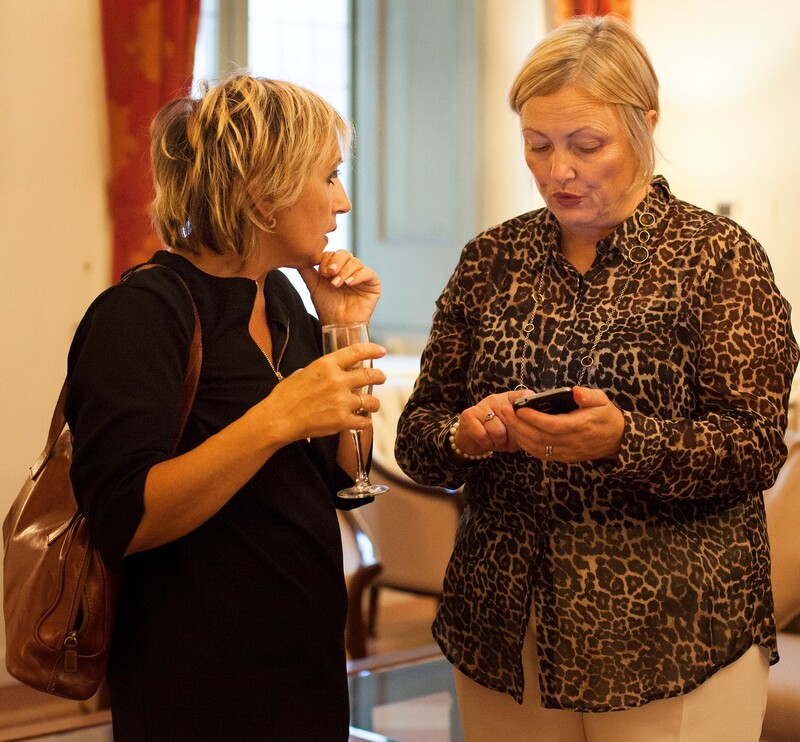 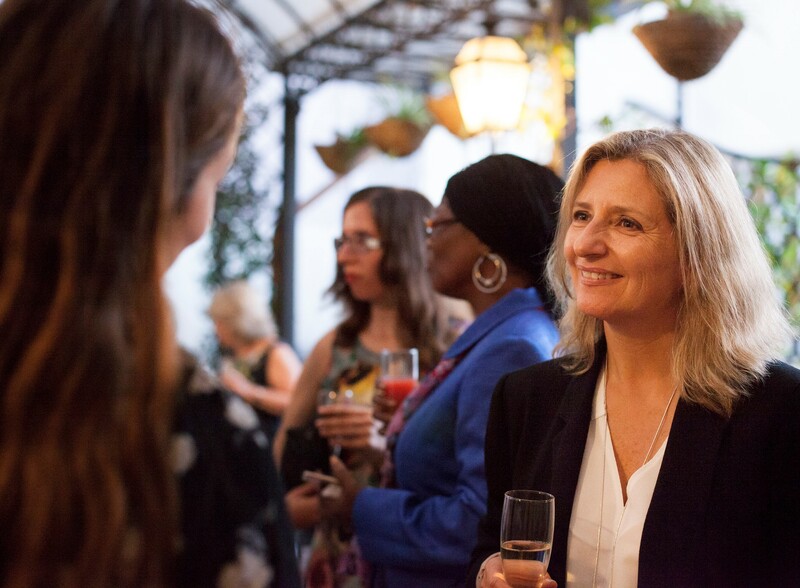 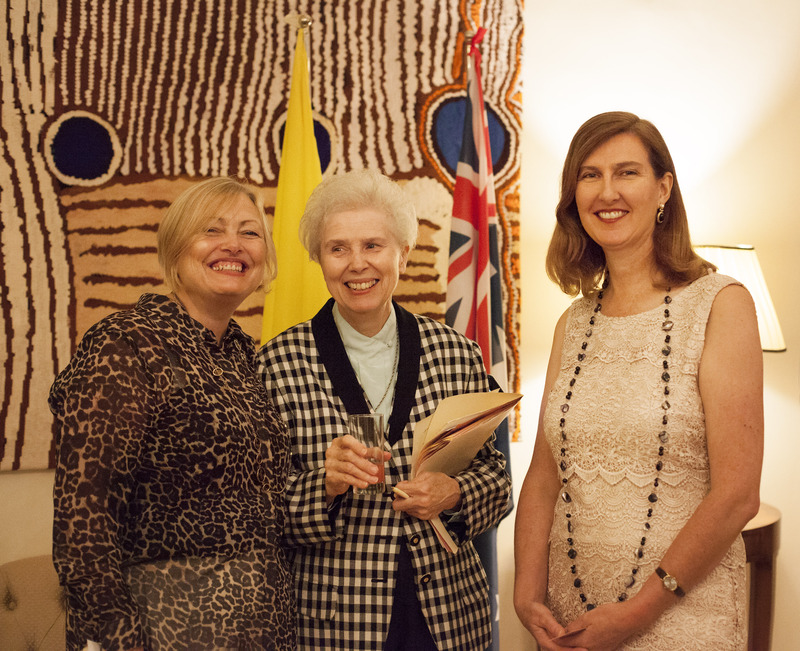 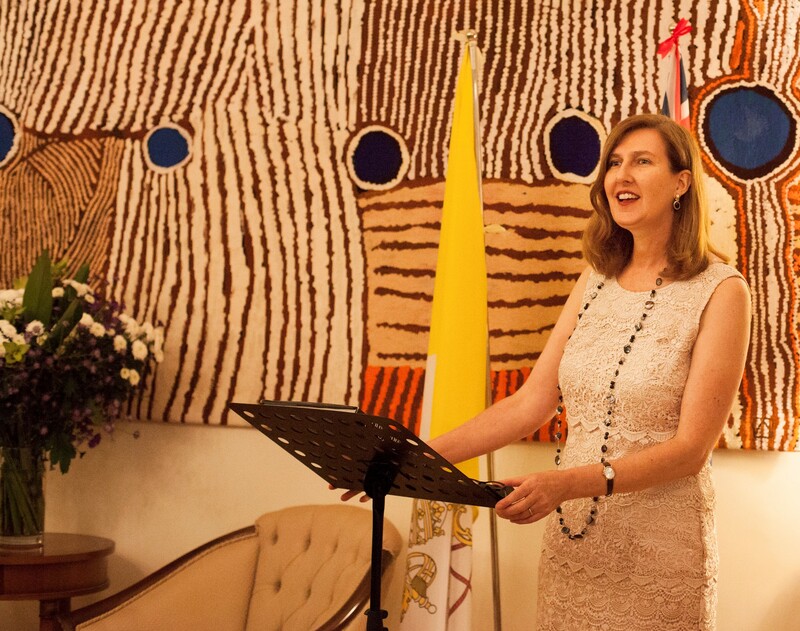 On the evening of Sunday, 31st September, Ambassador Melissa Hitchman, Australian Ambassador to the Holy See, invited book contributors to a reception at her residence. 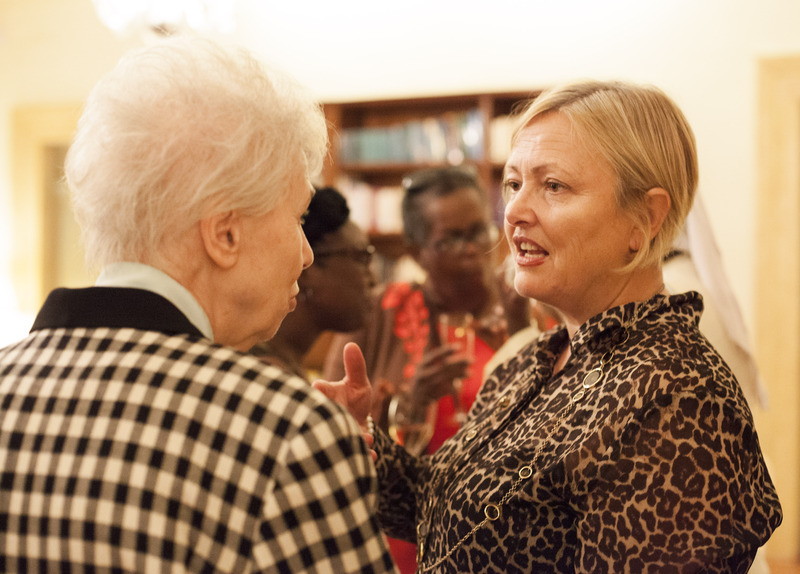 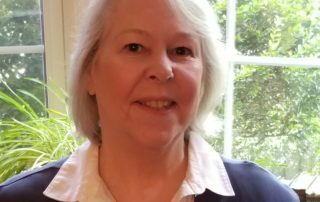 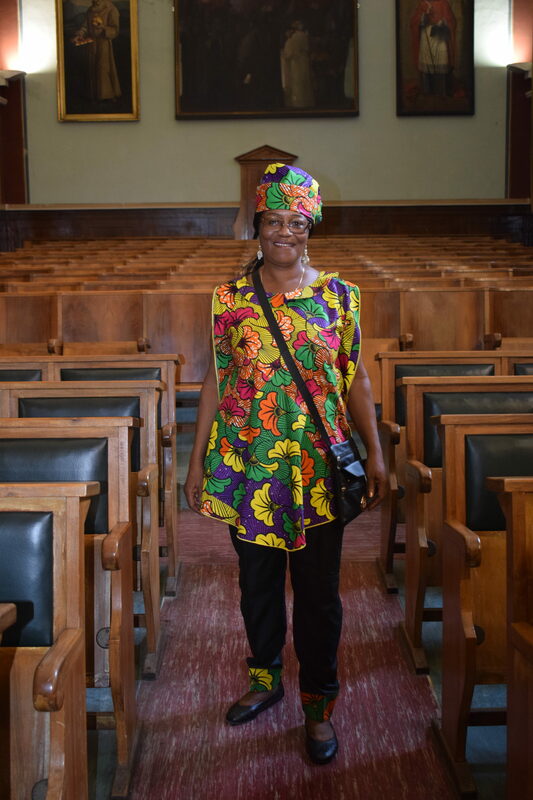 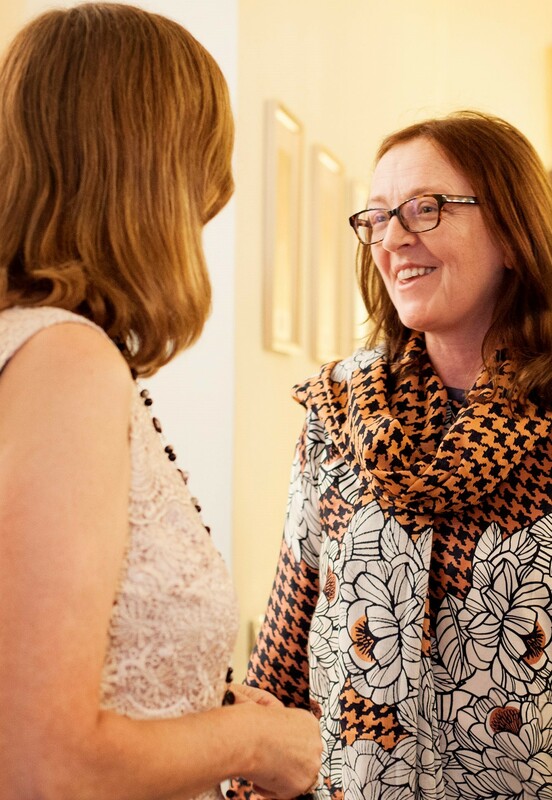 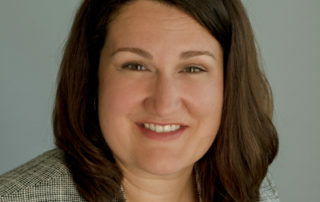 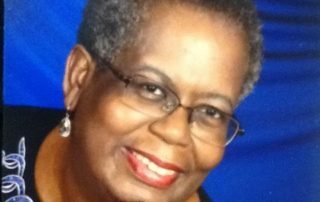 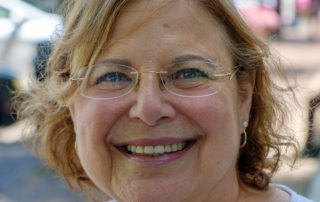 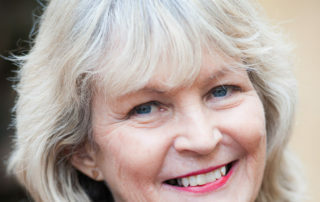 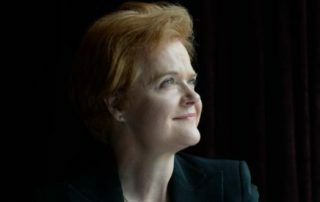 Ambassador Hitchman is a passionate supporter of women’s rights and gender issues. 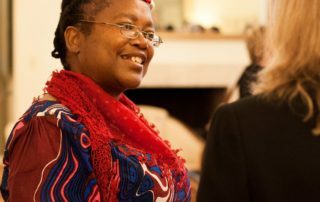 We were delighted that she attended our symposium the following day and bought several copies of our book to give to people. 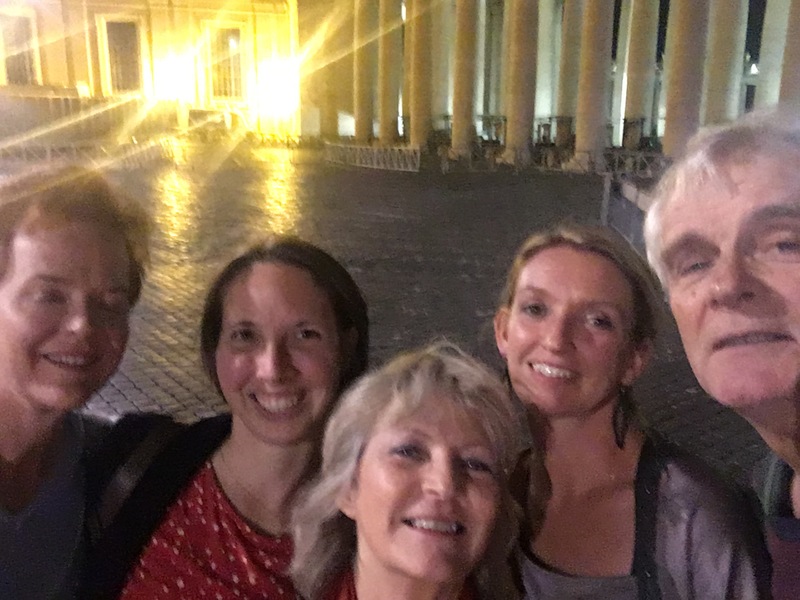 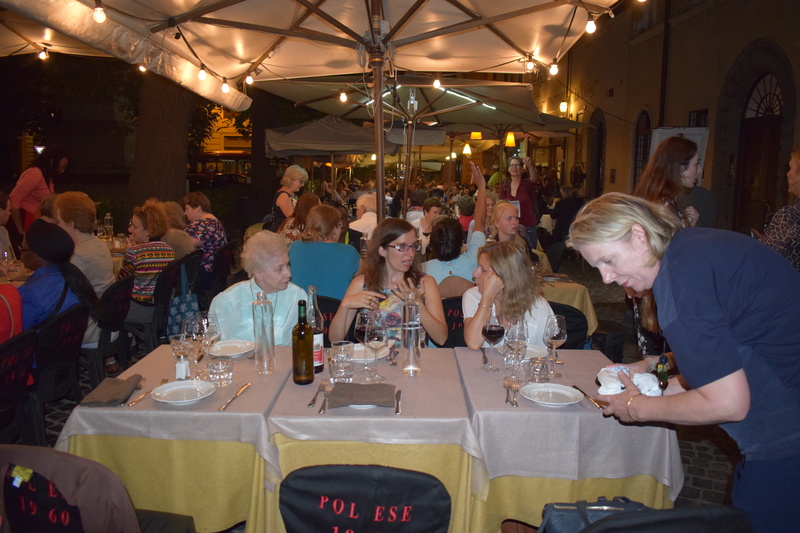 It was a wonderful way to spend our first evening in Rome. 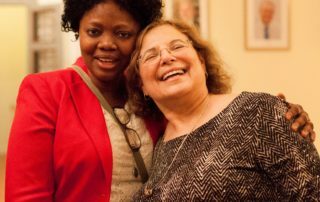 These photographs give a sense of the warmth and friendship that was already so much in evidence, and that would deepen and grow through the week. 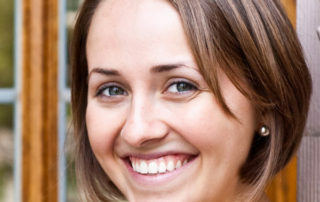 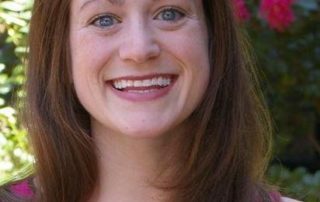 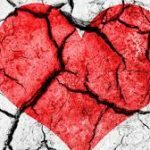 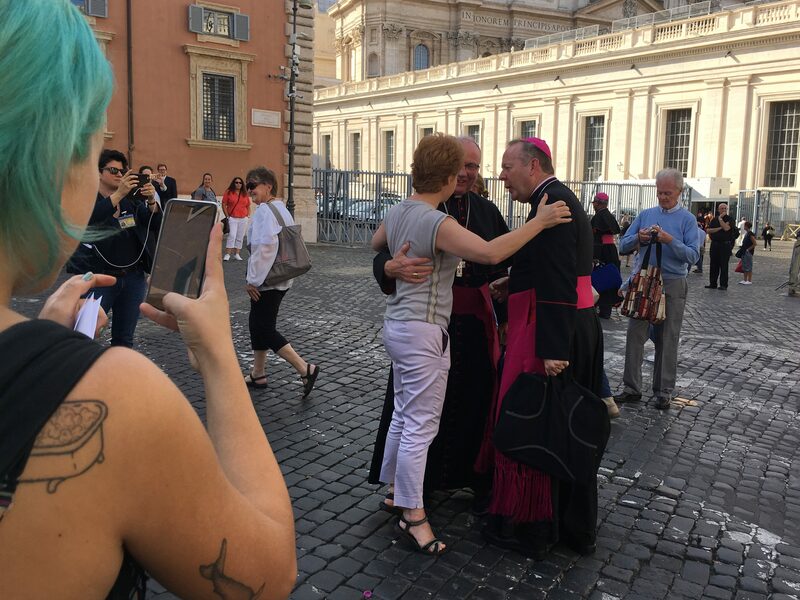 The reason for the protest is that the Synod rules have recently been changed so that non-ordained participants can vote, but it seems this applies only to non-ordained men. 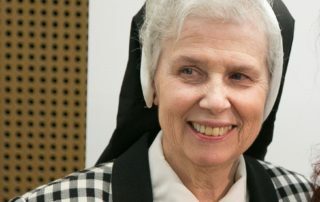 Two religious brothers will be entitled to vote during the final deliberations and decisions of the Synod, but religious sisters and other female participants will not. 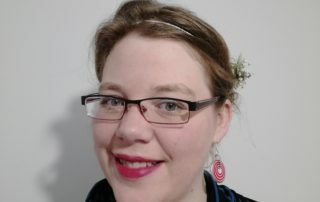 That was the reason for the protest. 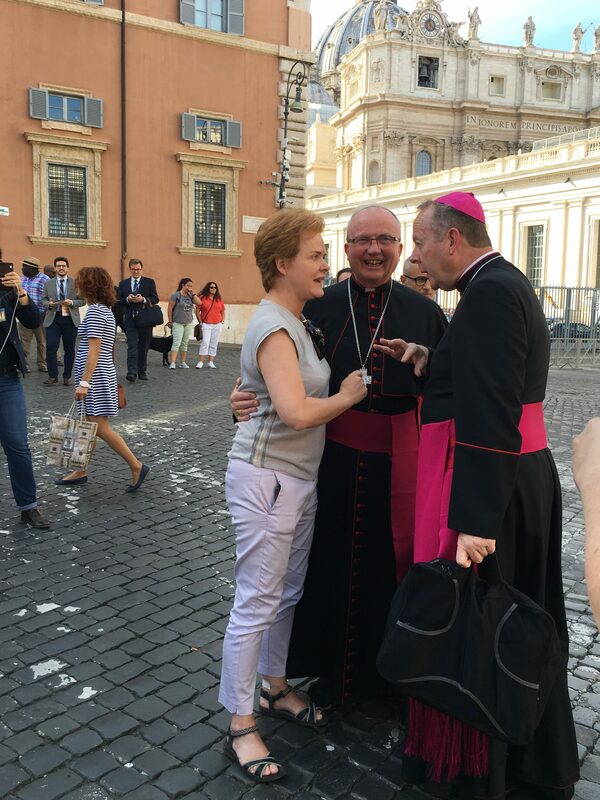 Two Irish members of the Synod stopped to engage in warm and friendly conversation with the demonstrators – Archbishop of Armagh Eamon Martin and Archbishop of Dublin Diarmuid Martin. 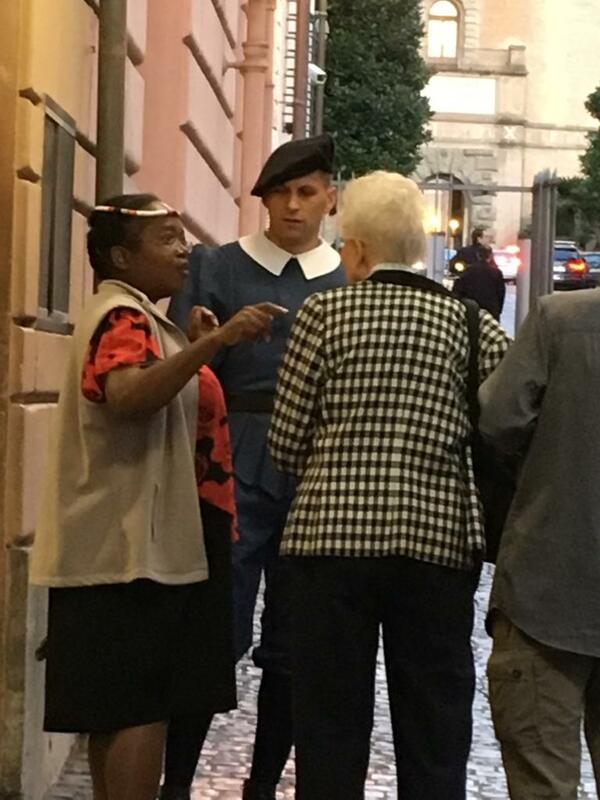 Others walked by, ignoring the protesters. 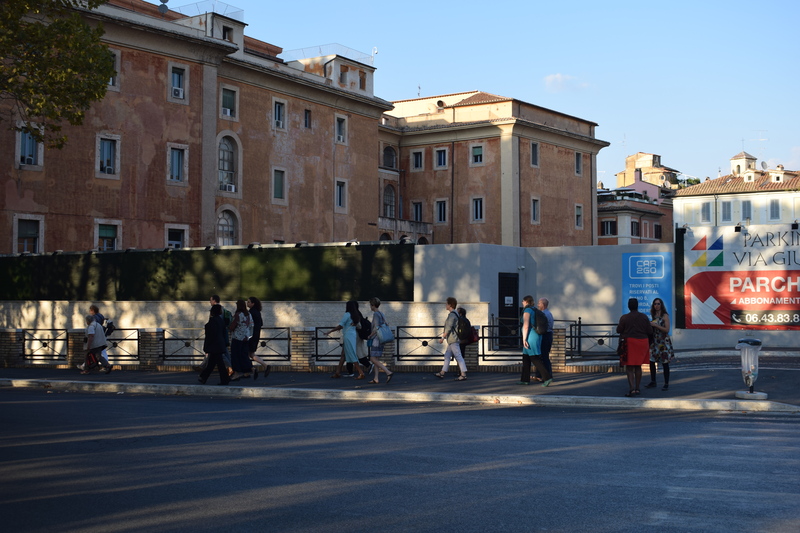 After about half an hour, the Italian police arrived in force – two police cars with blue lights flashing, followed by a riot van, followed by two mounted police on horseback. 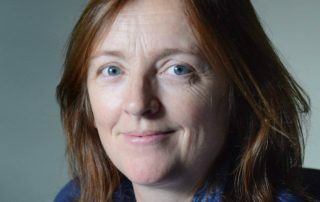 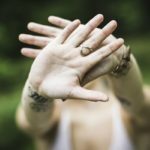 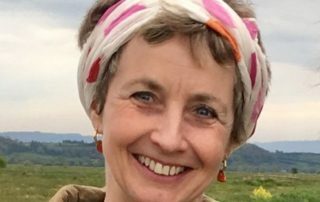 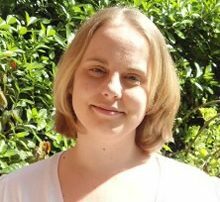 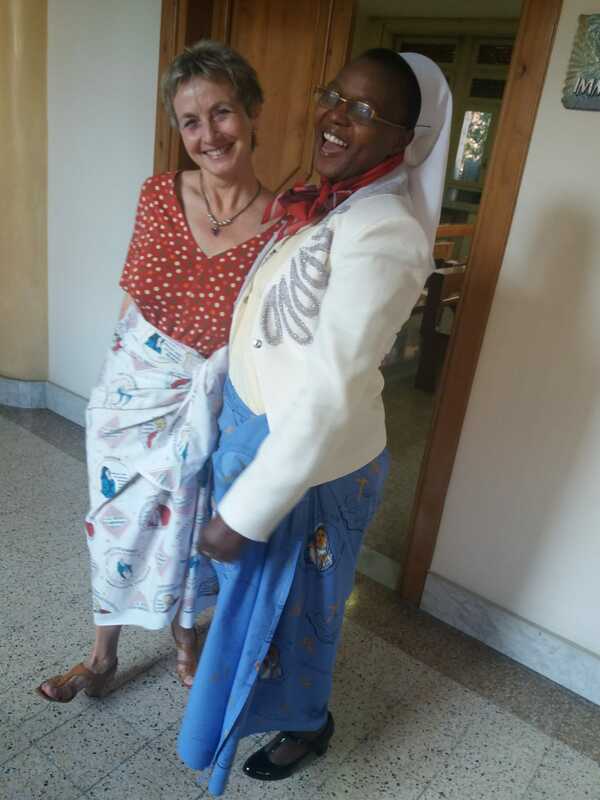 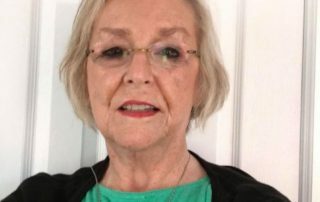 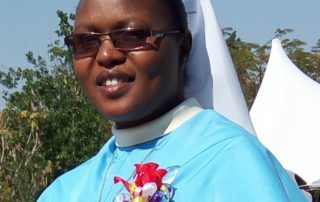 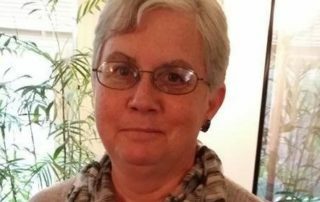 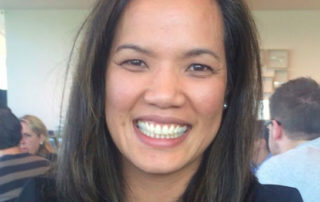 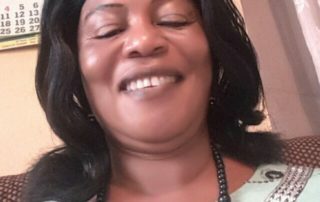 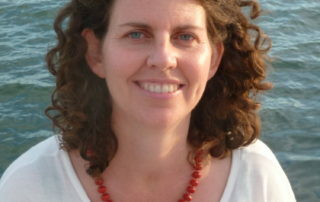 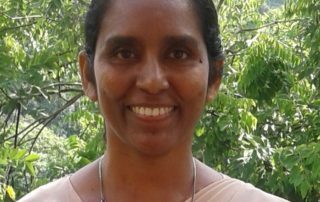 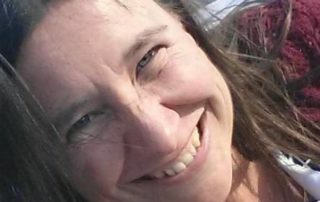 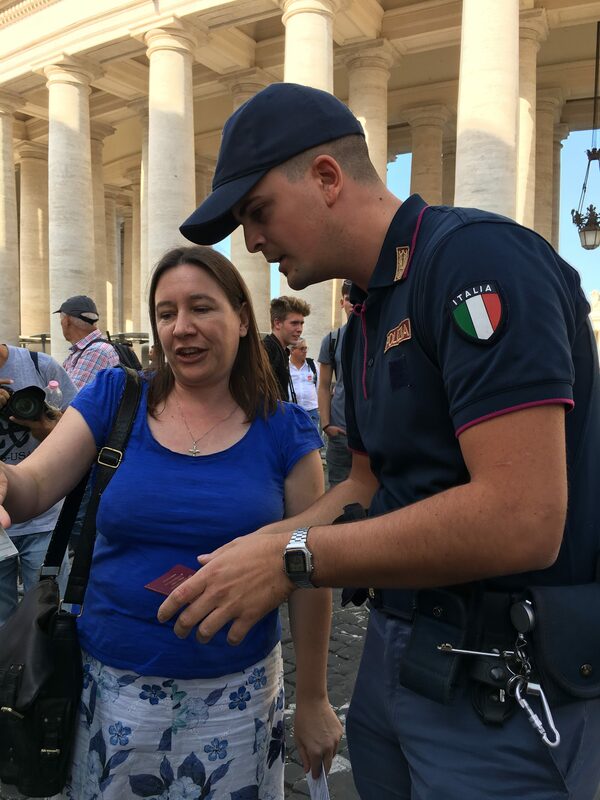 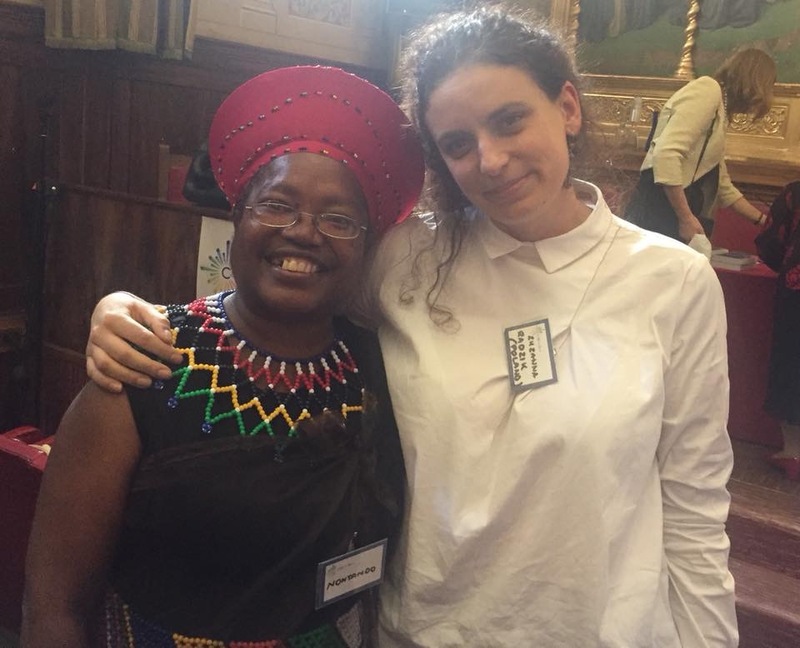 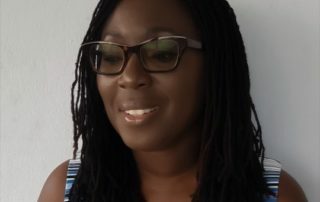 The police demanded to see the women’s passports, and the organiser of the protest, Executive Director of Women’s Ordination Conference Kate McElwee, was manhandled and threatened with arrest. 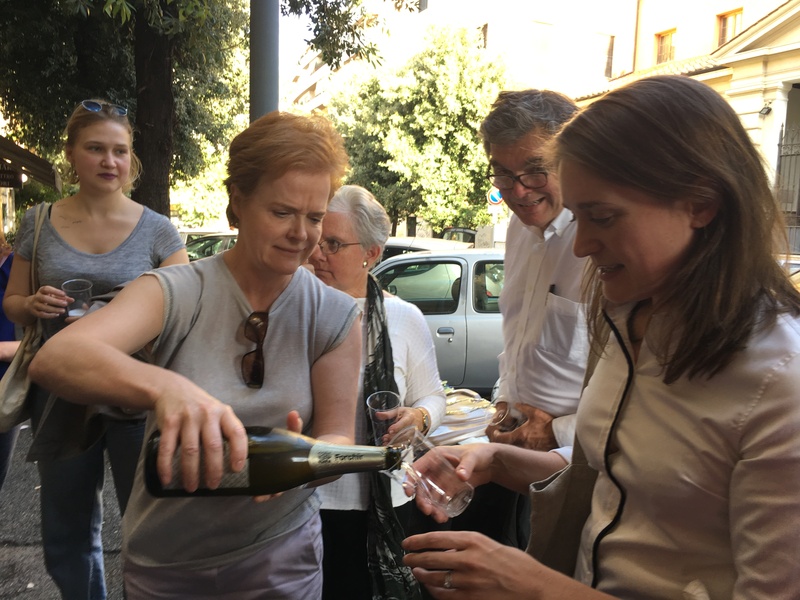 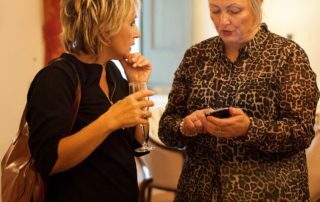 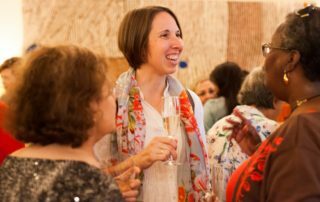 Eventually, the police returned the passports and the demonstrators dispersed to a local bar to drink Prosecco and share a sense of solidarity. 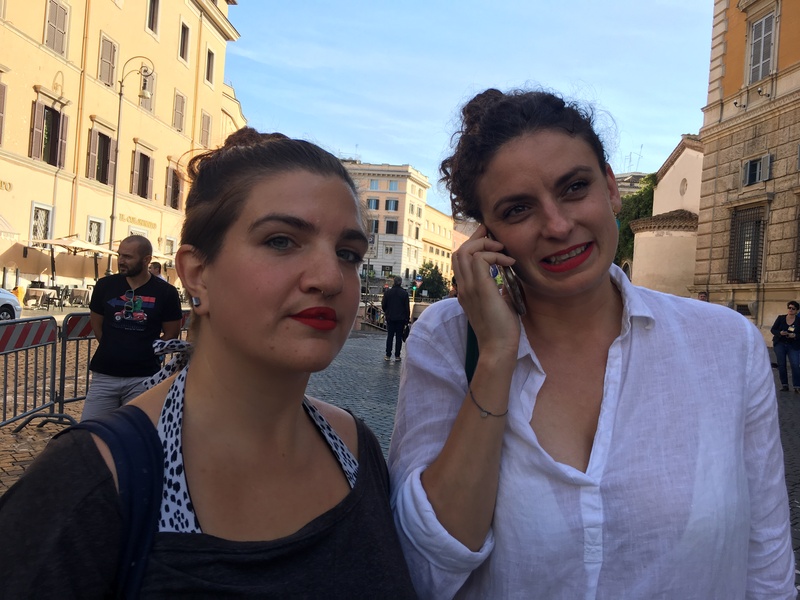 We invited the police to join us, but they declined.